The joke killed, and she quickly moves on to another bit. With parents who moved to the United States during the American War, Rosie Tran has never been to Vietnam herself, though she speaks Vietnamese, can cook Vietnamese food and has a foot in two different cultures. Negotiating both identities is anything but easy. Tran grew up in New Orleans, and laughs when she talks about her experience during a Skype interview. For Stanton, who holds down a regular 9-5 office job in the IT industry, this question misses the mark; since she began acting in theatre and films in 2009, she has seen performing as a powerful creative outlook. She suspects that Hollywood will soon see an influx of Asian-American millennial actors, who she notes are much more confident than peers in her age group, after growing up in the United States. There might be limited competition for Asian-American performers, but that doesn’t mean it comes without serious hurdles. For Rosie Tran, getting the audition is easy, but dealing with the stereotypes is harder. “Typically, I would say over 80 percent of the roles are a little bit stereotypical,” she said. She points to the comedy classic Mean Girls (2004) as one example, a movie that features a group of Vietnamese students, dubbed the “Cool Asian Kids”. “[The movie] had them as snobs. They were kind of cliquish,” she said. Throughout the film, the Vietnamese characters spoke no English, spoke nonsense Vietnamese (“Anybody that actually speaks Vietnamese would realise they clearly weren’t,” Tran said) and only interacted with one another. Towards the end of the movie, it was revealed that one character, Trang Pak, was having an affair with the high school’s gym teacher. “I’ve had that a lot in Hollywood, where they’ve had Vietnamese women portrayed as very slutty, or as prostitutes… Or I’ll go out for the very intelligent role, the valedictorian,” Tran said. “And then there’s a stereotype that Vietnamese women are very aggressive—dragon moms. Or, they’ll be very submissive. There’s a lot of bipolar associations with Vietnamese women,” she said with a laugh. Stanton herself speaks with a Texas twang, having spent most of her life in the Lone Star State; she mentions playing similar roles as nail salon technicians, a popular profession for Vietnamese-Americans across the US. For her, diversity in Hollywood has gone a long way since Rambo: First Blood Part II, in which Vietnamese soldiers were portrayed by Hispanic actors in the jungles of Acapulco, Mexico. Tran, on the other hand, has not seen as much of a change since she moved to Los Angeles 14 years ago. “I have noticed that there’s more awareness and talk about the stereotypes against minorities and women, with things like #OscarsSoWhite,” she said, referencing a Twitter campaign in 2016 protesting the lack of diversity in the academy awards. 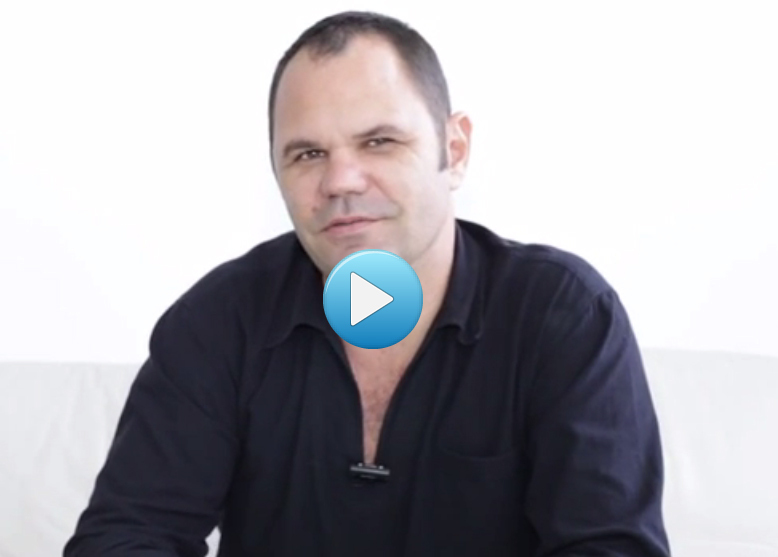 Patrick Gaveau, CEO of Innovo JSC, reveals the core values and mission of Innovo JSC, the company behind the leading travel information provider in Vietnam-City Pass Guide. For over 7 years,we have been providing travellers and residents useful information with our guidebooks, maps and apps, we have realised the lack of efficient and professional website development and online marketing services offered. This coupled with the ever increasing demand from businesses in the hospitality industry in Vietnam made us realise we could fill this void. With our refined focus on serving the needs of businesses in adition to travellers and residents, we offer useful and practical solutions to maximise business potential. Tripadvisor has become the leading resource for travelers when it comes to decide where to stay, lunch or hang out when visiting a new destination. However, most businesses in the hospitality industry in Vietnam still haven´t realised TripAdvisor´s full potential and the inherent competitive advantages they can get with a proper Tripadvisor business profile management. Discover why you should take control of Tripadvisor for your business in this complete guide! Need more information? 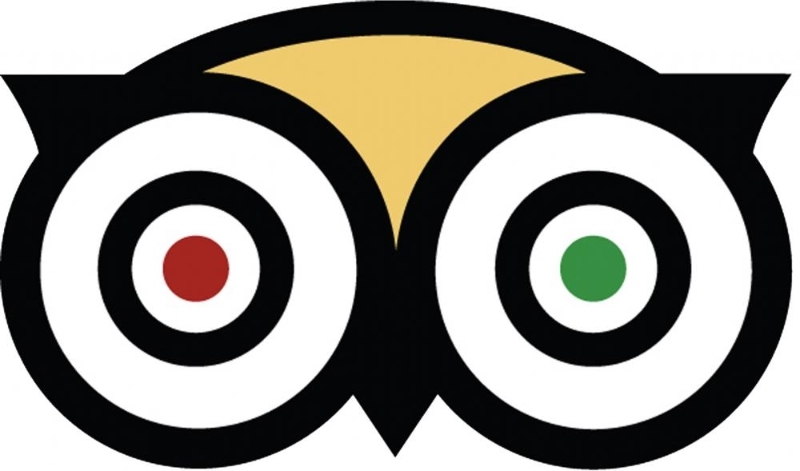 Want to have a chat about how to maximise your business´s TripAdvisor efforts? Contact Us and let´s talk! Venue: New World Saigon Hotel. 76 Le Lai, District 1, HCMC, Vietnam. 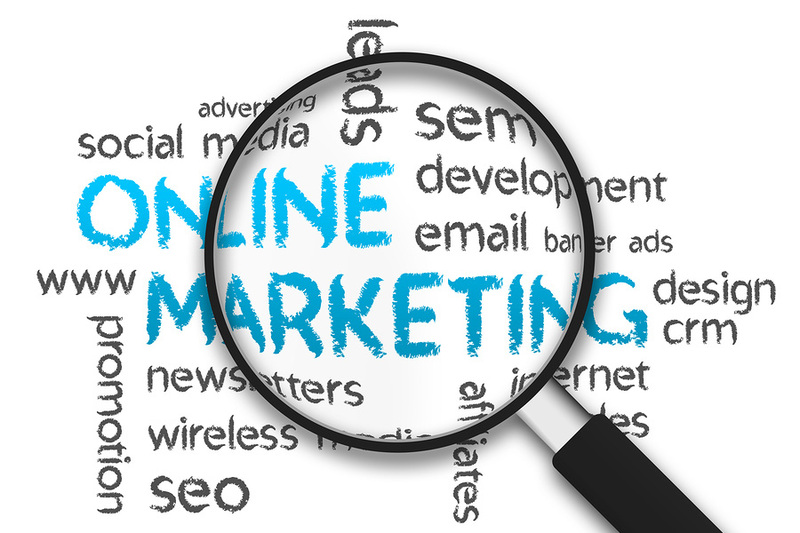 During our long journey in the travel industry, we have read countless articles on Online Marketing. 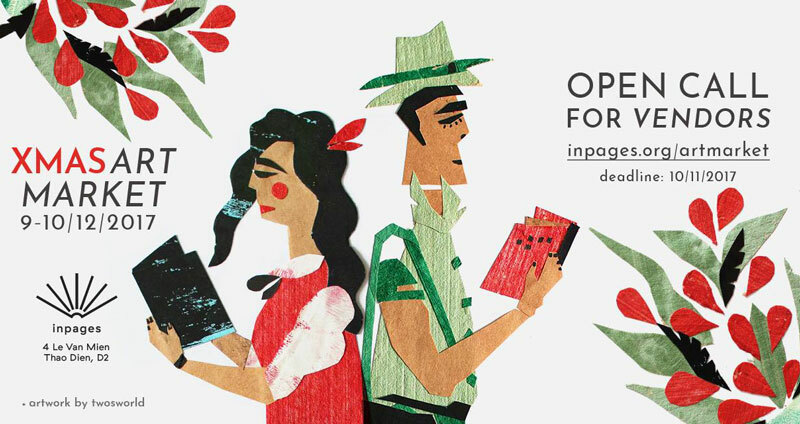 We´d like to share with you the ones that caught our attention, shaped our way of thinking and inspired us. We hope these will fuel the fire of success and help you achieve your goals. This month we´ll feature materials about SEO (Search Engine Optimization) since we consider it one of the most important (and technical) factors on which you may want to invest time and effort mastering and improving on your website. 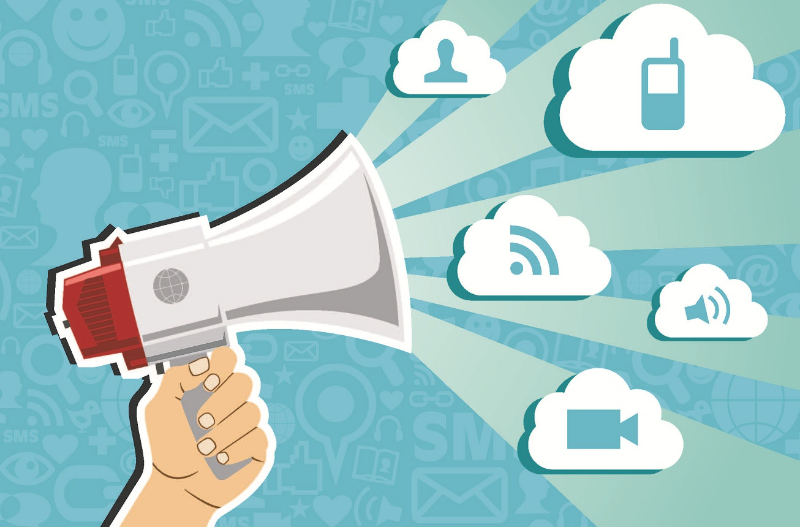 HOW WELL IS YOUR WEBSITE PERFORMING?? Contact us today to evaluate your website SEO-performance and receive a detailed report within 10 days, highlighting your strengths and weaknesses. This is an exclusive offer with no ties attached. First, let me get the negative out of the way. This is going to be a brutal winter for Vietnam’s tourism businesses. The drop in value of the ruble is going to completely stop the flow of the fastest growing market of inbound arrivals. Investors and businesses were adding new supply to the market in anticipation of the Russian market nearly doubling this year and instead everyone will be fighting for the few who actually came. At the same time, the Chinese market has not rebounded from the anti-Chinese riots and arrivals are still less than last year. If you are thinking of investing in Vietnam tourism, this spring will represent the perfect buy-low opportunity. So with that out of the way, let’s try to focus on some positive news, especially since this is the holiday season. It is not often I read about a Vietnam Ministry of Culture, Sports and Tourism proposal and feel they have any understanding of what they are doing; but this month they surprised me. 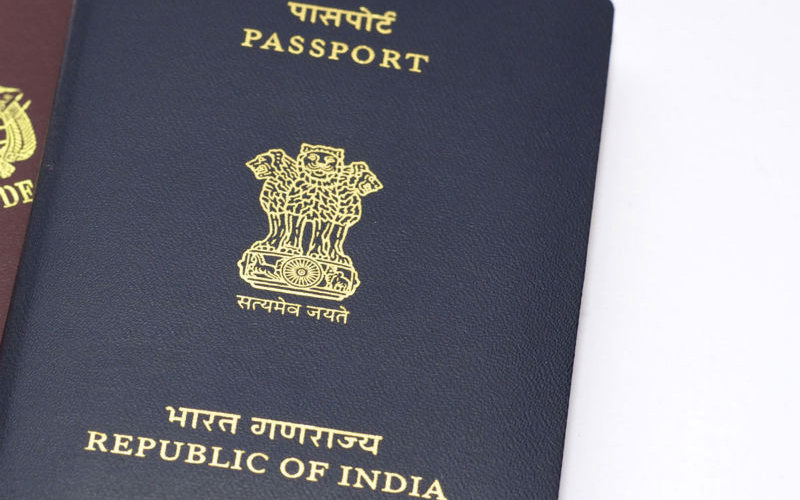 The governmental department has proposed to give inbound travelers from India visa exemptions. Now granted, Vietnam should eliminate or at least ease the visa process for all travelers. Also, this is just a proposal and has not come into law. But the proposal is a rare example of understanding the future rather than a reaction to the past. It’s also a positive step in diversifying away from a dependence on Chinese tourists and a creating new demand for Vietnam’s two major cities which have been losing ground to coastal tourism. At first glance, India’s outbound market is not all that significant;it’s only 17% the size of China’s. In fact, VNAT does not even list the country in its statistics so it is difficult to say how many Indian’s come to Vietnam each year. Two interesting factors combine to make India a market to target. Obviously the first is the size of India’s population (2nd largest in the World). But India has been the second largest population for some time. Even though the country comprises 17.5% of the world’s population,Indiansstill only took 1.5% of the world’s annual international trips last year. 1. It is not the size of the population that matters when it comes to outbound tourism, it is the size of the middle class population that has disposable income. 2. People begin traveling internationally at an income of about $1,500 USD per month. So right now India’s population is not traveling in large numbers because a significant majority of them don’t have the disposable income (the GDP per capita is about $1,500 a year). As the average income increases over the next decade, a meaningful amount of people will have disposable income for the first time and they will begin traveling. Like China, the growth rate will be exponential rather than linear as the median income approaches the magic number. What Does that Mean for Vietnam? Another thing we know about tourism is that the first international trip is usually very close to home and easy for a first time international traveler to navigate. Vietnam is in a unique geographical position to take advantage of both the Chinese and India market. 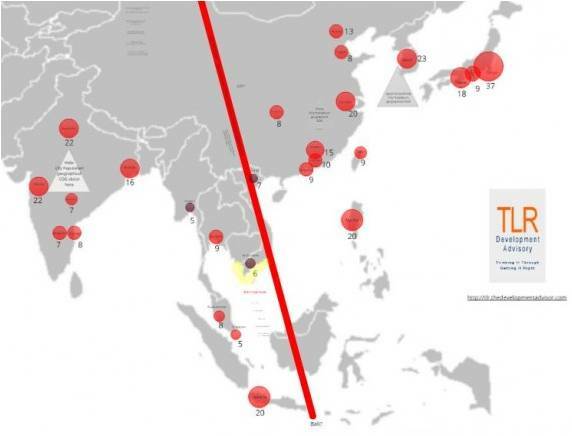 Last year TLR Development Advisory created an Asian population center of gravity map that took into account the major population centers in Asia and graphed a center line based on the weighted populations of various cities. As you can see, the line went straight through Vietnam. In other words, Vietnam is at the center of India and China’s immense populations, denoting it should draw substantial number of tourists from each country. Does Vietnam have what Indian tourists want? That is a more difficult question. There are currently direct flights from India to Vietnam by Jet Airways and Vietnam Airlines since November 2014 along with other foreign airlines as Thai Airways, Singapore Airlines, Malaysia Airlines and Air Asia, so it´s expected that more airlines will include this route soon. But making steps to reduce barriers to first time international travelers is incredibly important so the visa waiver is a critical step. It is also avital step in reducing dependency on Chinese tourists, which as we’ve seen, will be used as an economic weapon by Chinese leaders. The British International School offers a way to get a head start on your Christmas shopping. 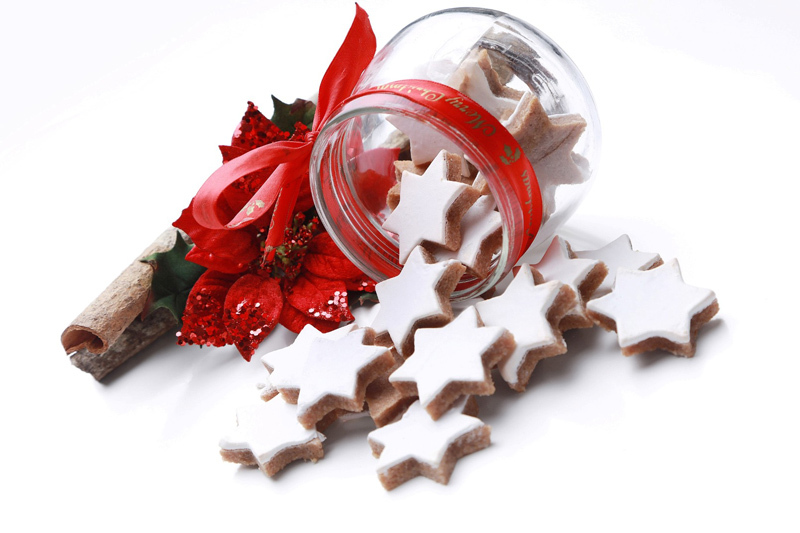 Vendors will have an assortment of wares and treats, all ready for gifting. 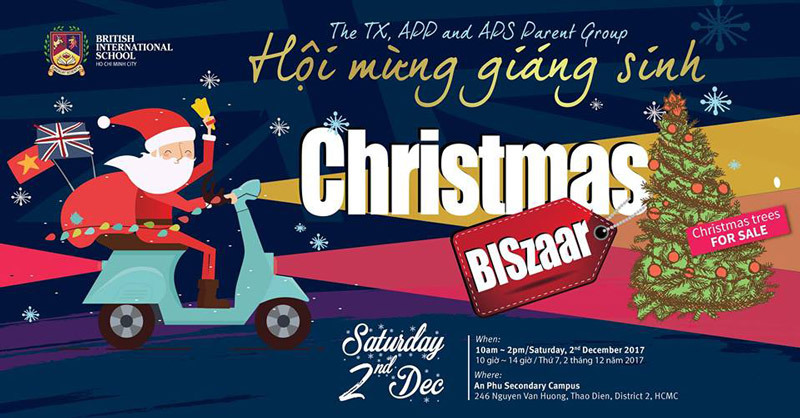 The students will also be there to sing Christmas carols. 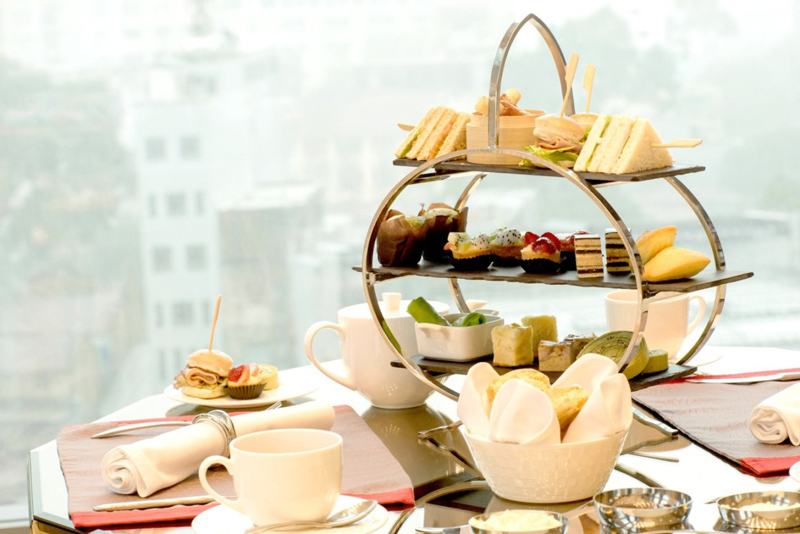 Caravelle’s café will host a daily afternoon tea complete with pastries and other sweets from noon until 5:30 p.m., finished with a glass of champagne. Enjoy with a live local choir for extra holiday cheer. Entry is priced at VND590,000++ per person. 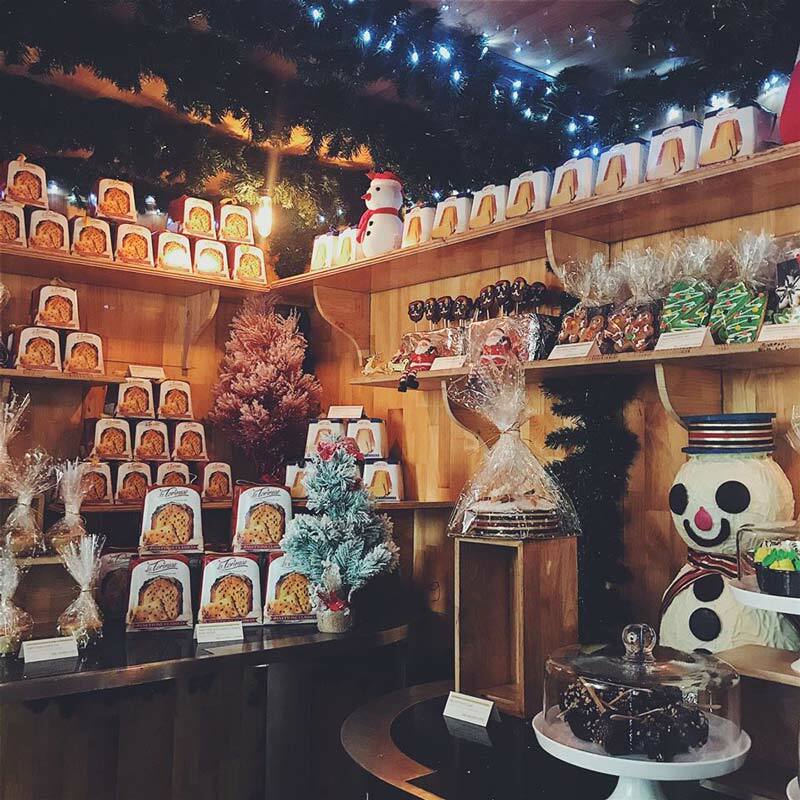 The café will also sell made-to-order Christmas goodies like gingerbread and honey-glazed ham for your own holiday feast. 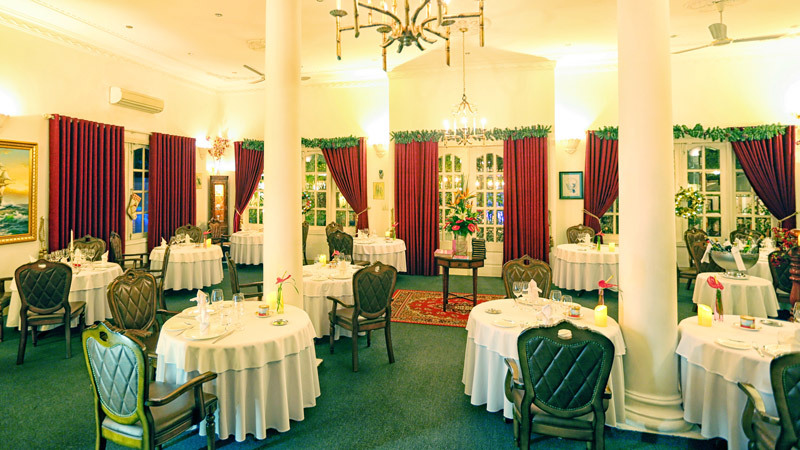 A dinner with pan-fried duck foie gras and lobster medallions will be served by top chefs at this Binh Thanh treasure. 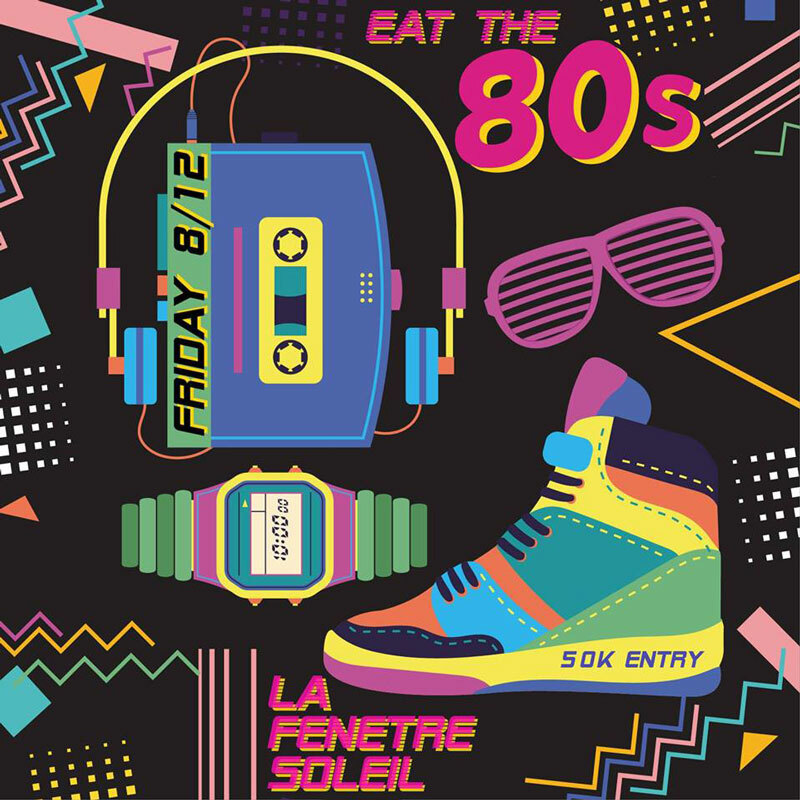 An ‘80s dress code will be enforced strictly. Get ready to dance to some old-school Christmas jingles. The best-dressed attendee will get a special prize. The bookstore Inpages will host an art sale in the run-up to Christmas this season. 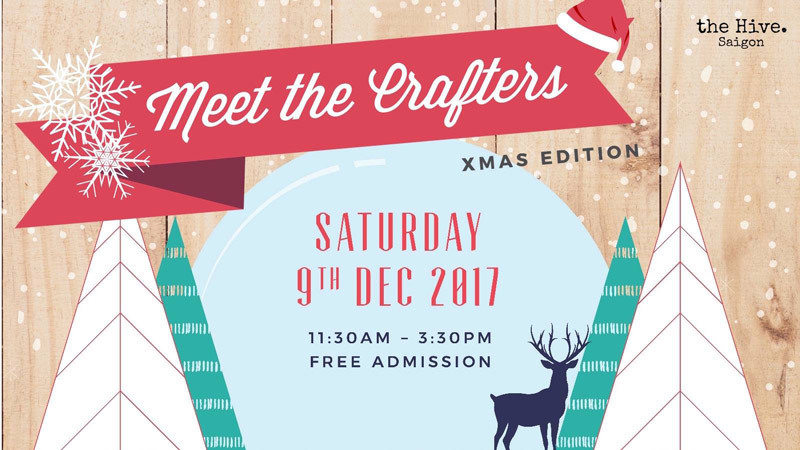 The event’s theme is notebooks, and they’re collecting the best notebook and stationery craftsmen and craftswomen (Craftspeople? Craftspersons?) together under the same roof. For the already-crafty, you can make one yourself in a workshop they’ll host during the day. 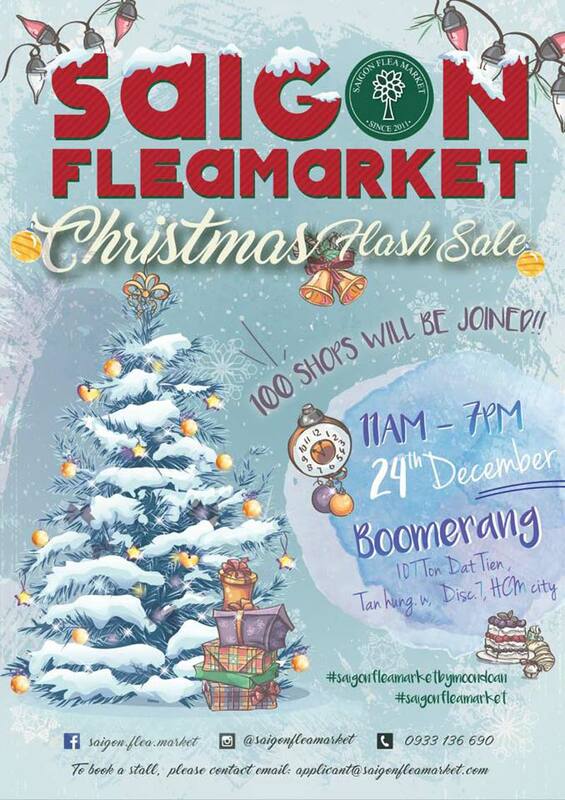 Local crafters in Saigon will be offering their goods from the morning through the afternoon. Come ready to buy, shop and get into the holiday spirit. Stop by in the morning to see this small flower exhibition. The show will feature works from the studio’s namesake artist, as well as arrangements from 15 international students. Why buy a toy when you could build one yourself? 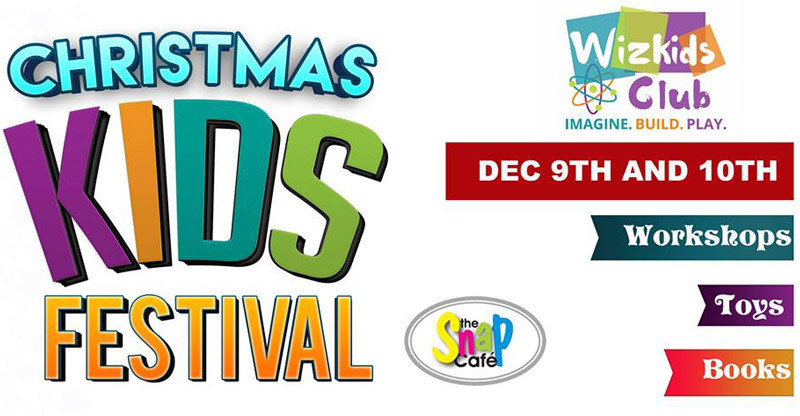 The Snap Cafe is offering a group of workshops all day long starting at 10 a.m. for children aged 5 to 12. Register in advance for VND300,000 or buy entry at the door for VND50,000 more. Get into the holiday spirit with craft beer, food and music before everyone books it out of town for the real thing the week after. Cuba la Casa del Mojito will be among the many restaurants feeding hungry attendees. The entertainment lineup includes the Game On Crew dance group. Rumour has it there will also be a pole dance performance, but you didn’t hear that from us. 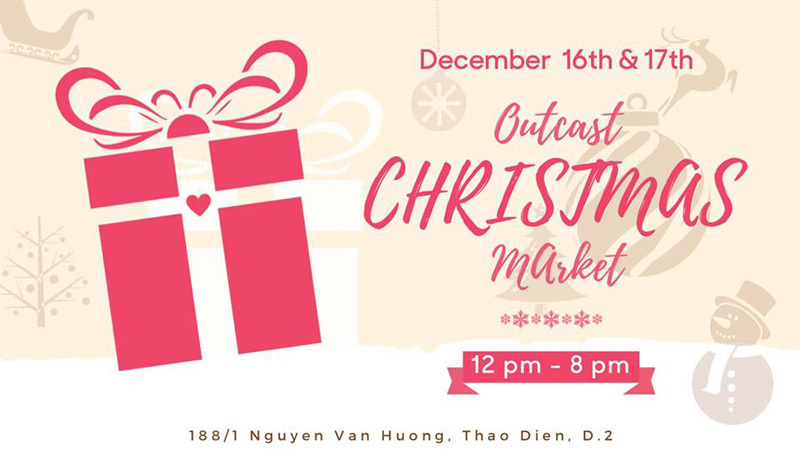 Saigon Outcast’s regular farmers’ market is converting itself into a holiday market for those of you who haven’t found a gift for your loved one yet. A VND20,000 entry fee gets you a bottle of water or, if you’re hydrated enough, a Red Saigon. Come to find a wealth of homemade gifts, ornaments and, of course, the fresh produce you’ve come to expect from Saigon Outcast on weekends. The Tapas Kitchen’s chefs are readying their menu of oysters, wagyu beef and cognac-infused lobster cocktails for the holiday season. 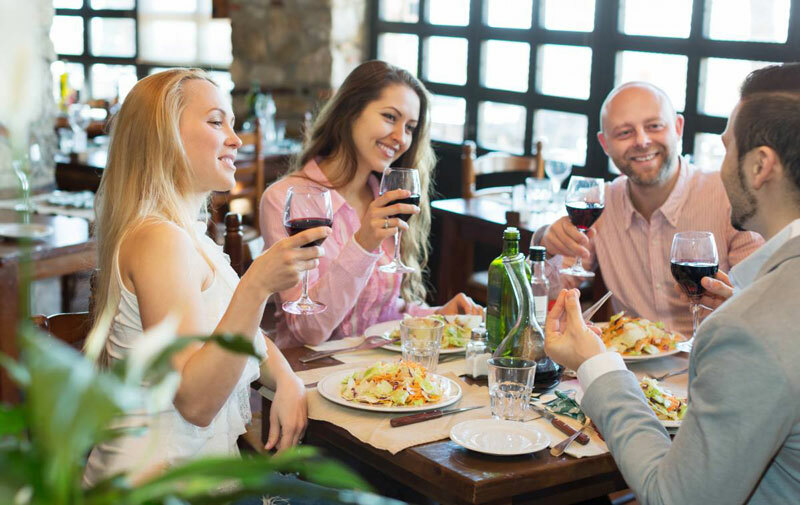 Served in bites, the dinner is a perfect place to catch up over a few drinks and something delicious to eat. Start Christmas early with a holiday buffet replete with ham and roast turkey from a carving station. Finish off with one of the 20 desserts that Nineteen Buffet Restaurant has prepared for the evening. Dinner starts at VND1,390,000++ per person. 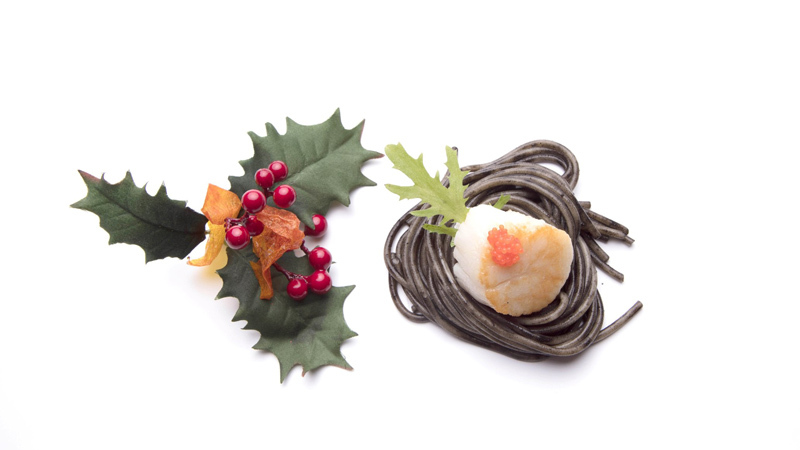 Nineteen will also serve dinner and lunch on Christmas Eve and Christmas Day. We hear Santa himself may make an appearance. 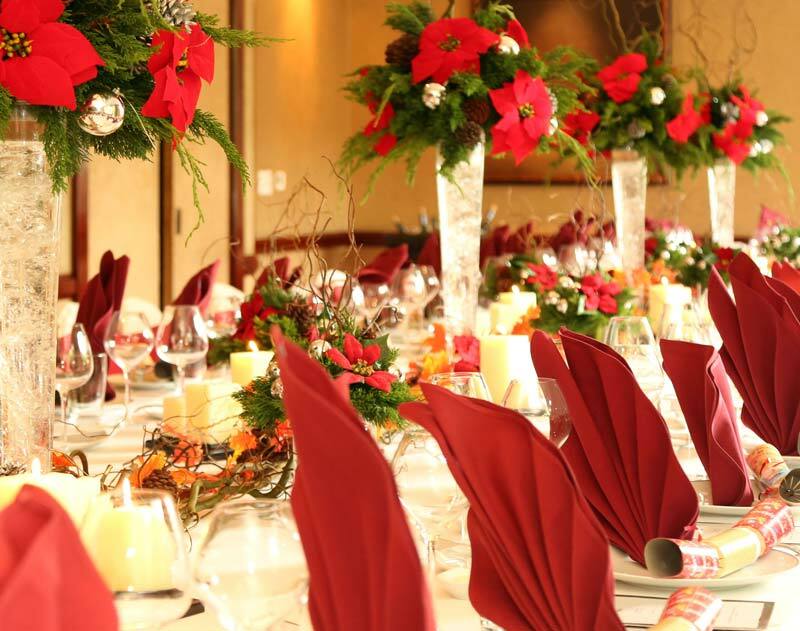 La Villa is pulling out all the stops for its elegant Christmas dinner. A nine-course tasting menu, featuring culinary gems like pan-fried foie gras, Hokkaido sea scallops and a special fourme d’ambert espuma will definitely be a dinner you won’t forget. Be sure to book this well in advance. Christmas Eve and you still have no present? Hurry on over to the Saigon Flea Market. 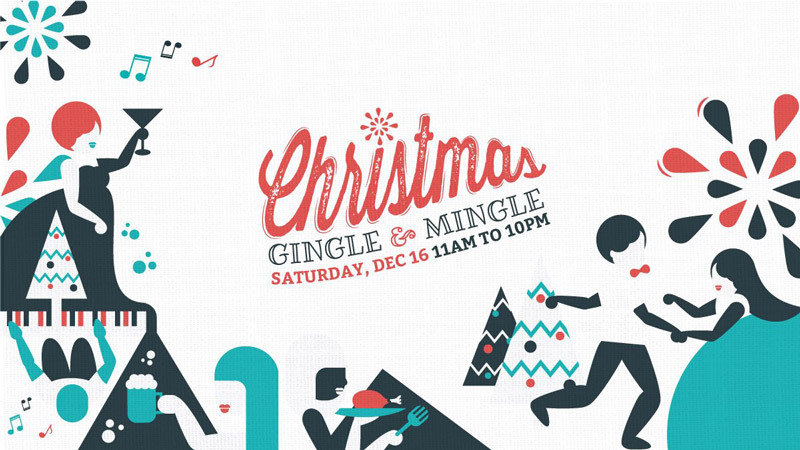 Starting at 10 a.m., they’ll be selling a bevvy of handmade wares from 100 shops. Find your cute thing there, dear reader. 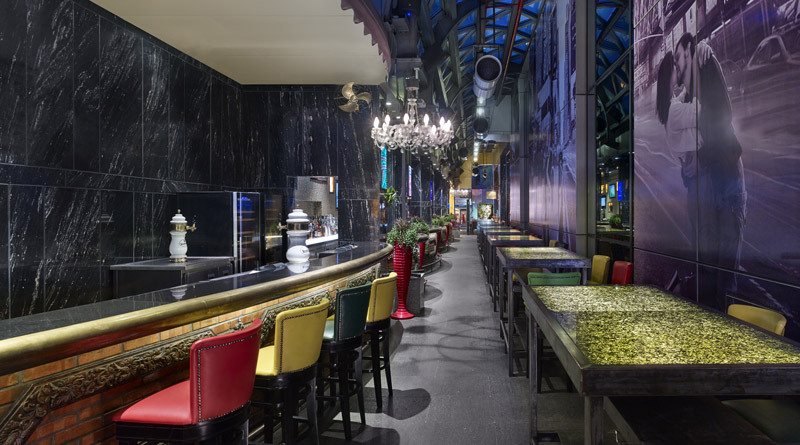 One of the city’s highest restaurants and bar is celebrating with a candy Christmas. 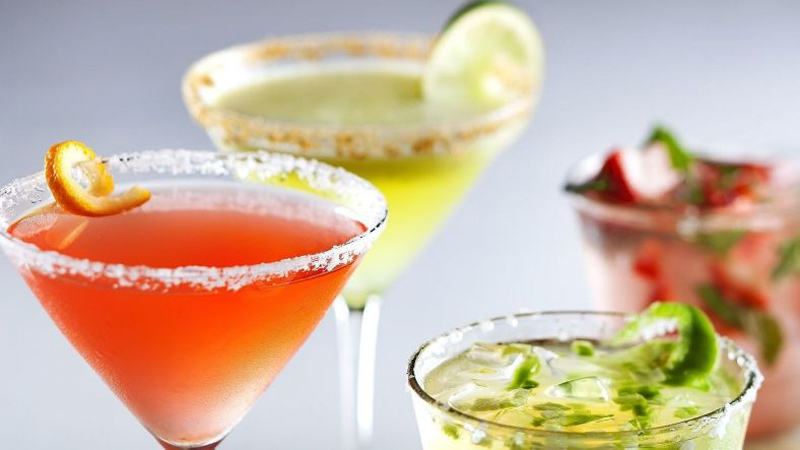 You’ll get to enjoy top-notch mixologists creating special holiday tinctures, surrounded by the warm sounds of Christmas music. 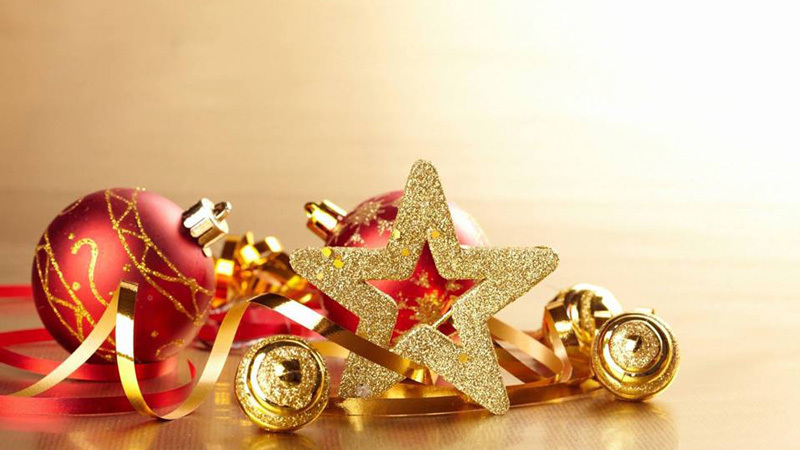 Plus, there will be a holiday buffet at Cafe EON: VND1.15 million++ per adult, VND695,000++ per child, which will feature a holiday-themed lucky draw. 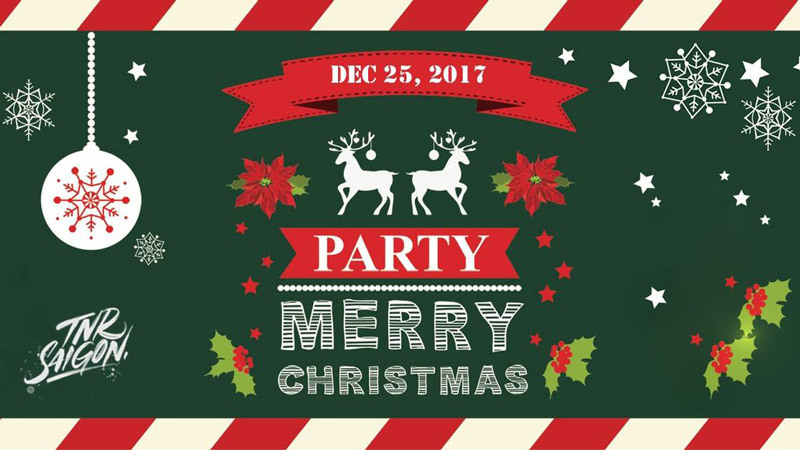 At EON51 Sky Dining, their Christmas Flair set menu (VND1.65 million++ per person) will feature a live musical performance from 5:00 p.m. to 10:00 p.m. DJ Lan Kido and DJ Tuan Anh will perform late into the night right at the only Helicopter Bar in Vietnam. From 6:00 p.m. to 10:00 p.m., guests will enjoy a specially cooked feast at Latest Recipe. A holiday set menu, VND1.45 million++ for a free flow of soft drinks, juice, tea and coffee and VND1.95 million++ for a free flow of rose, wine, beer, soft drinks, juice tea and coffee, will delight the senses and tantalise the taste buds. Children under 3 get in free; children from 3 to 12 years of age have a 50 percent discount. 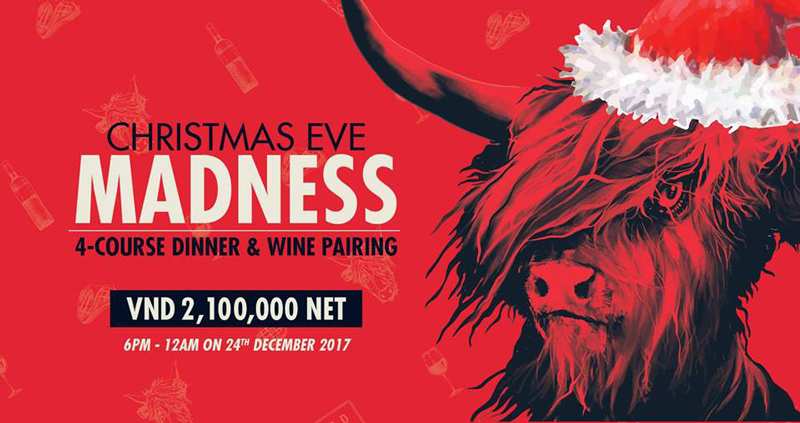 On Christmas Eve this Japanese restaurant will have a bevy of great deals, including a VND1 million++ set meal that includes two free drinks; a VND1.3 million++ set meal that includes a welcome glass of rose along with a free flow of wine, beer, soft drinks, juice, tea and coffee; and a VND1.7 million++ option that includes a welcome Champagne drink, and a free flow of the other beverage options. Executive Chef Darren Watson will be cooking a four-course meal starting with sous vide lobster and ending with fresh mince pies. Choose from a roast turkey or roast fillet of Turbot. Dinner starts at VND1,880,000++ per person. Besides a colourful tree-lighting ceremony on 9 December, this elegant rooftop bar is pulling out all the stops. 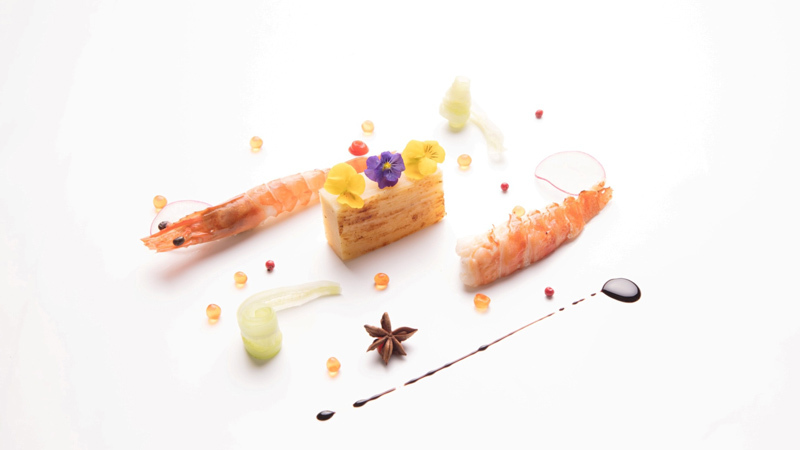 A six-course set menu for two (VND2.5 million++) comes with a complimentary bottle of Bollinger champagne. 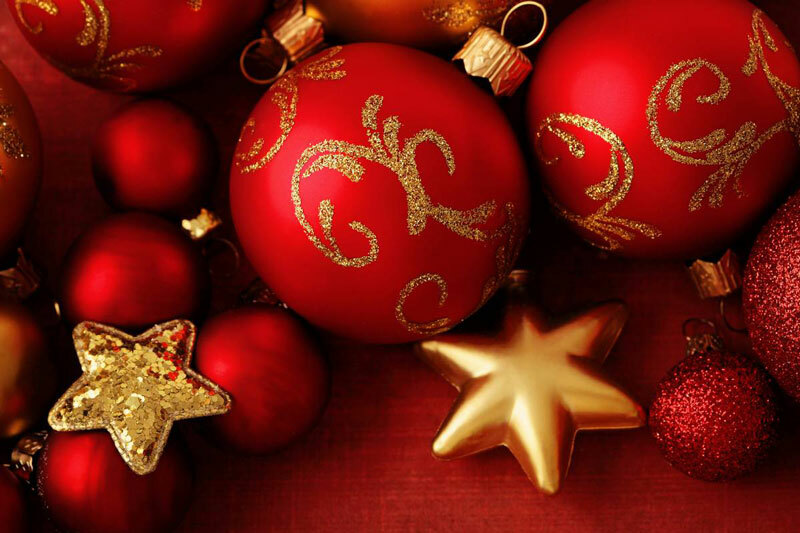 Celebrate Christmas Eve in style by spending the night on the top of Saigon Winterland for a memorable time. 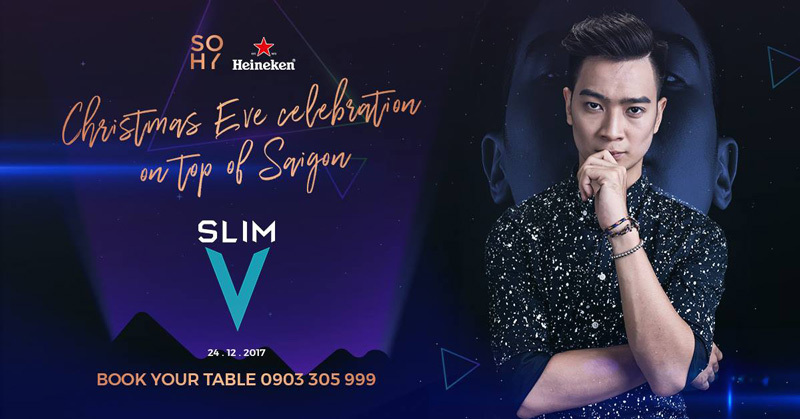 Dance the night away and show your moves to the beats from SlimV, top DJ in Vietnam. Christmas won’t be Christmas without your loved ones by your side. So, why not bring them along? Chill with your friends without feeling chilly because they’re there with you. No need to worry about the budget, instead, use that energy to party all night. Why? Because you don’t need any entrance ticket whatsoever! Just dress to the nines and be ready to roll all night! Remember to grab some drinks and snacks to re-energise from 5:30 to 8:30 pm because they will be 49% off. What else are you waiting for? The sounds of Cuba will grace Saigon’s skyline from the Caravelle Hotel’s rooftop bar. Live band Living Cuba will be playing through the night to a crowd awash in craft cocktails. For a small VND280,000 cover charge, you can be in the caribbean this holiday. Christmas eve dinner here will feature a foie-gras stuffed turkey, baked salmon and lobster. Enjoy with a complimentary flute of champagne or a cocktail for VND1,550,000++ per adult or VND655,000++ per child. 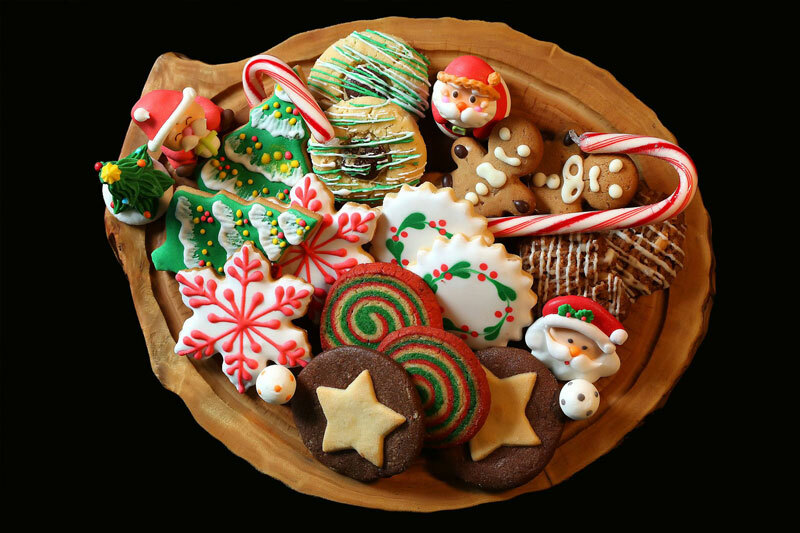 From 6 p.m. onward, enjoy a buffet party soundtracked by Christmas music at the District 7 hotel. 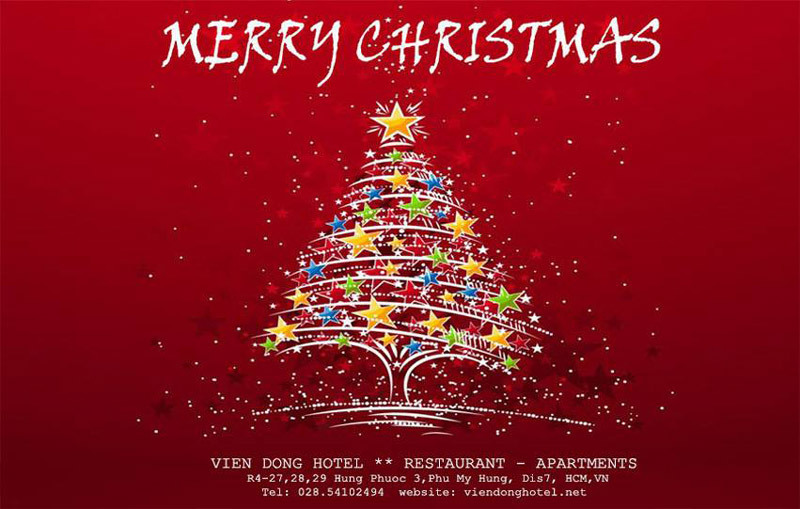 It’s both a holiday celebration as well as an appreciation of Vien Dong Hotel’s customers. 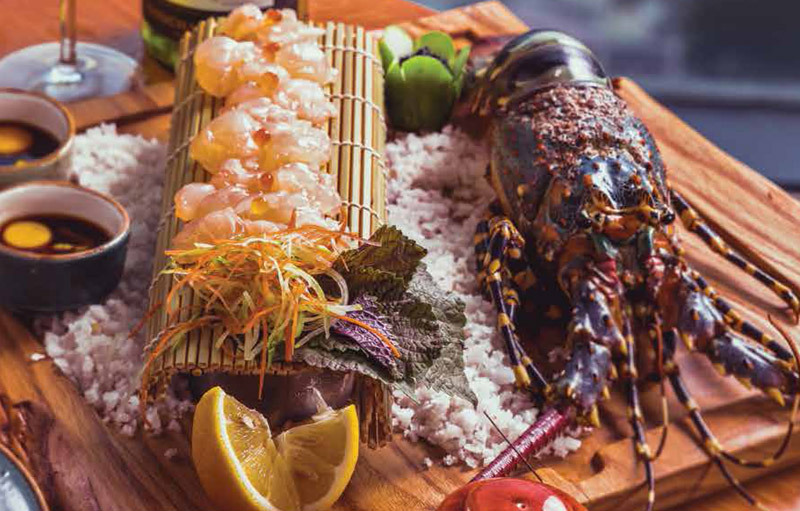 Besides a special visit from Santa Claus and their Christmas choir, The Cafe’s extensive buffet includes sushi, sashimi, a selection of patés made in-house… and that’s just the tip of the iceberg. If you’re after a nice steak, you can get a fine New Zealand strip here, or even some New Zealand lamb. For dessert, save room for a medley of cakes, pies, pumpkin-spice cheesecake, a chocolate fountain and, of course, Christmas pudding. Adults pay VND1.488 million++ per person, and it’s VND774,000++ for the little ones. Celebrate Christmas Eve this year with an international take on a Christmas buffet dinner at Food ConneXion! 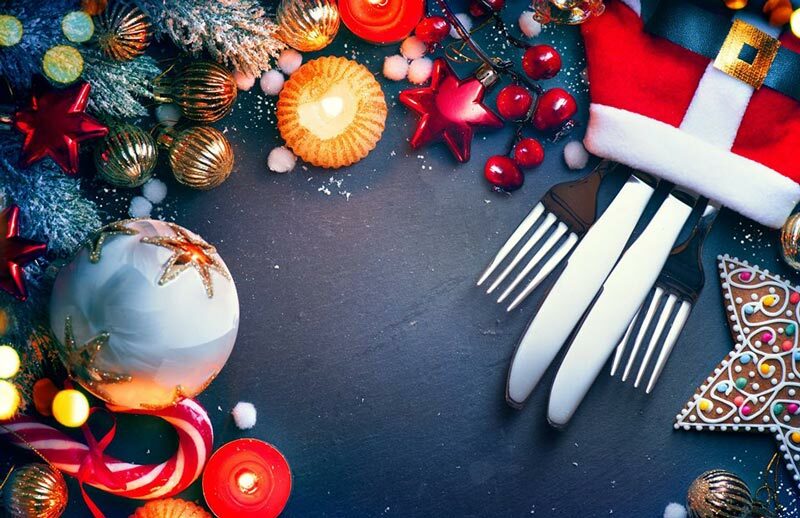 Enjoy a roasted Christmas turkey, seafood ice bar, Spanish serrano ham, homemade traditional French terrine, Japanese corner as well as a dessert and chocolate corner! 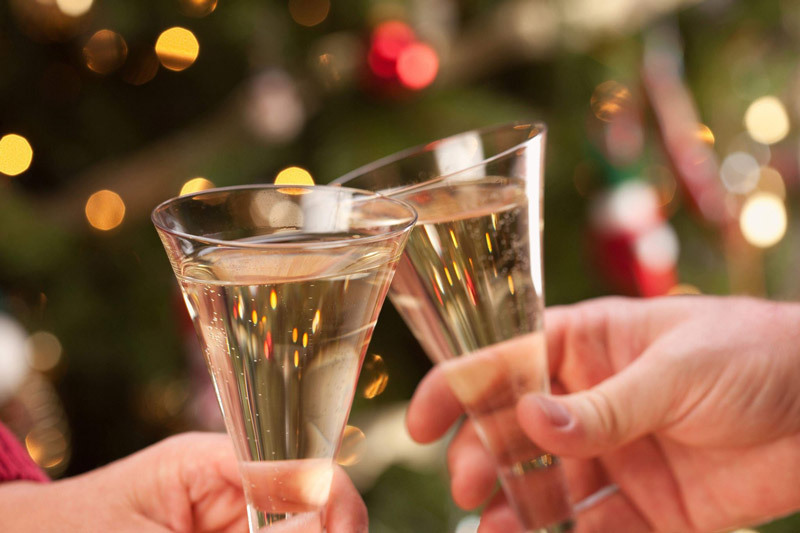 Pair your dinner with free flow Champagne, wine, and beer to make Christmas Eve with your loved ones even merrier! VND 1,900,000 NET per adult and VND 850,000 NET per child. From 4PM to 11PM on 24 Dec 2017. New World is famous for taking Christmas decorations to new heights, so be sure to stop by to get an eyeful. When you’re hungry, take your pick on Christmas Eve between Parkview, offering an internationally buffet for VND2.4 million per person, and Dynasty, specialising in Cantonese flair for VND888,000 per person. Intercontinental takes the holidays seriously! A veritable smorgasbord of Christmas delicacies await at its three restaurants, including a Christmas Eve dinner at Market 39 and a “bubbly” Christmas brunch the next day, an all you can eat Christmas Eve dinner at Yu Chu and a Christmas Eve dinner at Basilico. With discounted prices for children, and a visit from Santa Claus on Christmas Day, Intercontinental’s various offerings are perfect for a family. Celebrate Christmas Day with an all-day breakfast feast featuring dishes like eggs benedict, french toast flambé and smoked salmon. Enjoy a roast turkey and trimmings with cranberry sauce, and keep a lookout for Santa. Tickets start at VND1,288,000++ per person or VND645,000++ per child. House wine, mulled wine and beer will flow freely during this meal. 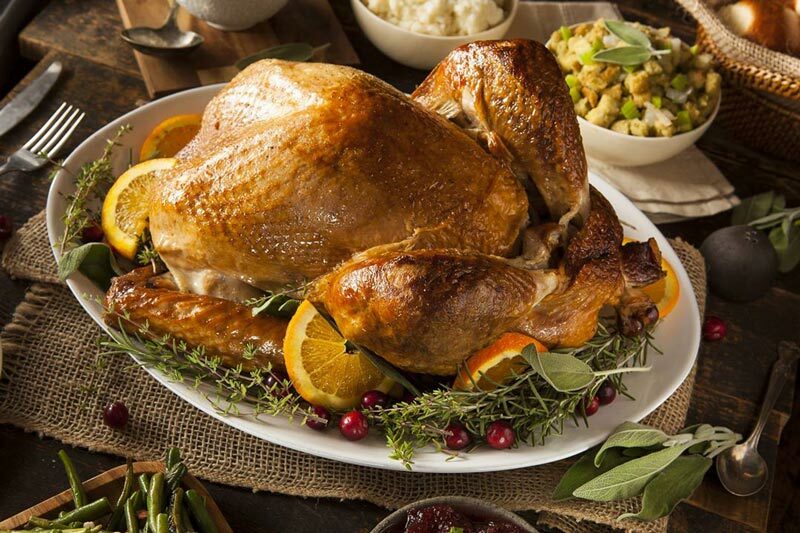 Dinner features a seafood feast with turkey. Entry starts at 1,488,000++ per person and 744,000++ per child. 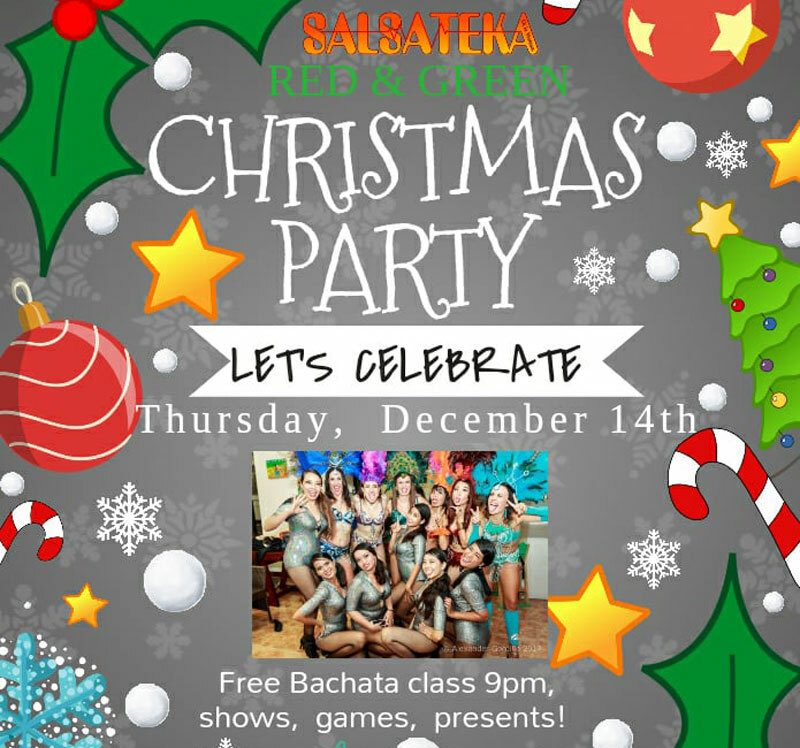 Head out for a dance party this Christmas evening. VND70,000 gets you a Wild Turkey shot for a quick boost of that holiday feeling. 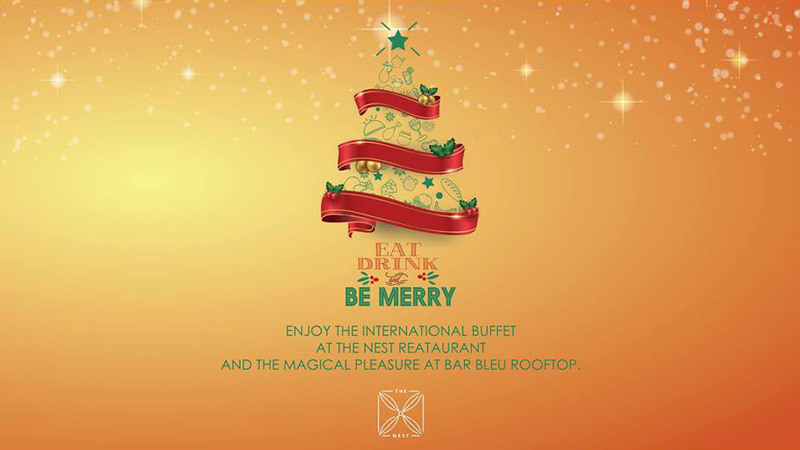 Nineteen Buffet Restaurant invites you to a special Christmas lunch or dinner. Dine on fine food as in-house carolers do their thing. We hear that Santa may make an appearance. Lunch starts at VND2,690,000++ and dinner at VND1,980,000++. 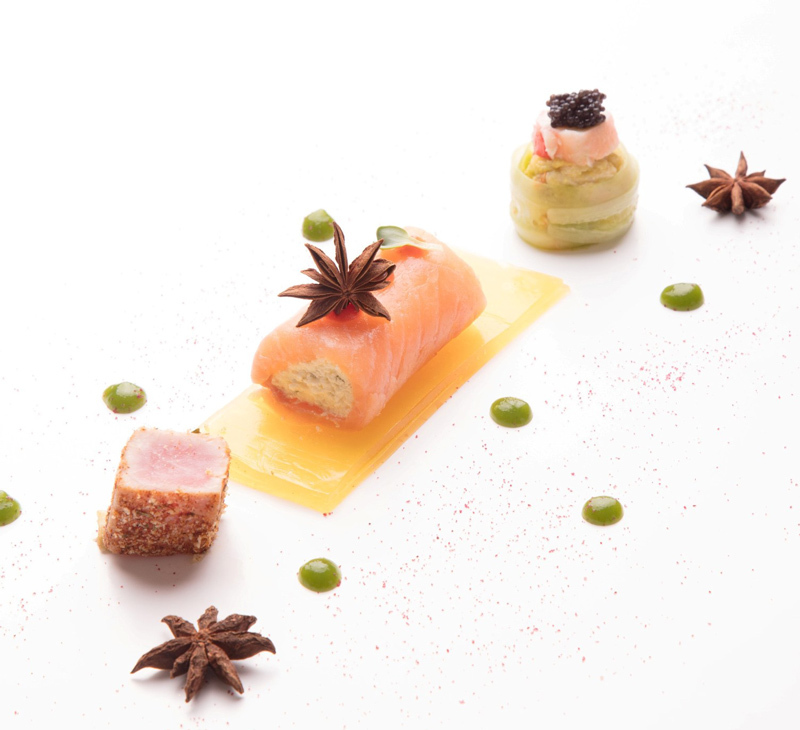 Through December, indulge in an assortment of seasonal favourites in a sumptuous, six-course French-themed set dinner. 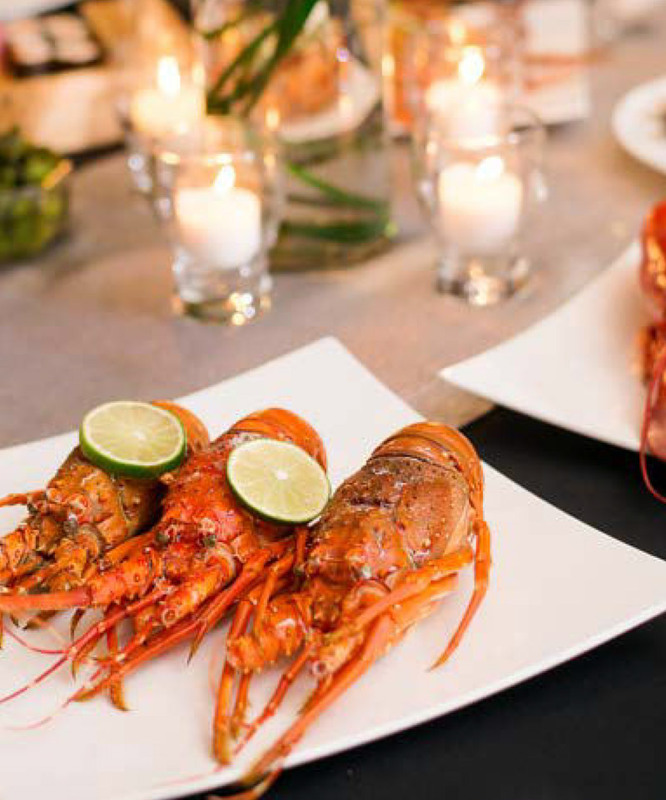 This holiday feast features a selection of fresh seafood including lobster and oysters, USDA first choice beef, and a traditional ‘Noel Baba’ yule log dessert. It’s available from 1 to 30 December (excluding 24 December) for just VND1,488,000++ per person. For a touch of refinement this Christmas, the Festive High Tea offers a delightful selection of sandwiches, pastries, tartlets and scones served with cream, strawberry jam and whipped cream, paired with a choice of Christmas punch, mulled wine or Christmas tea. Available from 3 p.m. to 5 p.m., 27 November until 1 January for only VND548,000++/person. Celebrate Christmas and New Year with a set menu of classic Cantonese recipes, a perfect choice for unique holiday gatherings with family and friends. 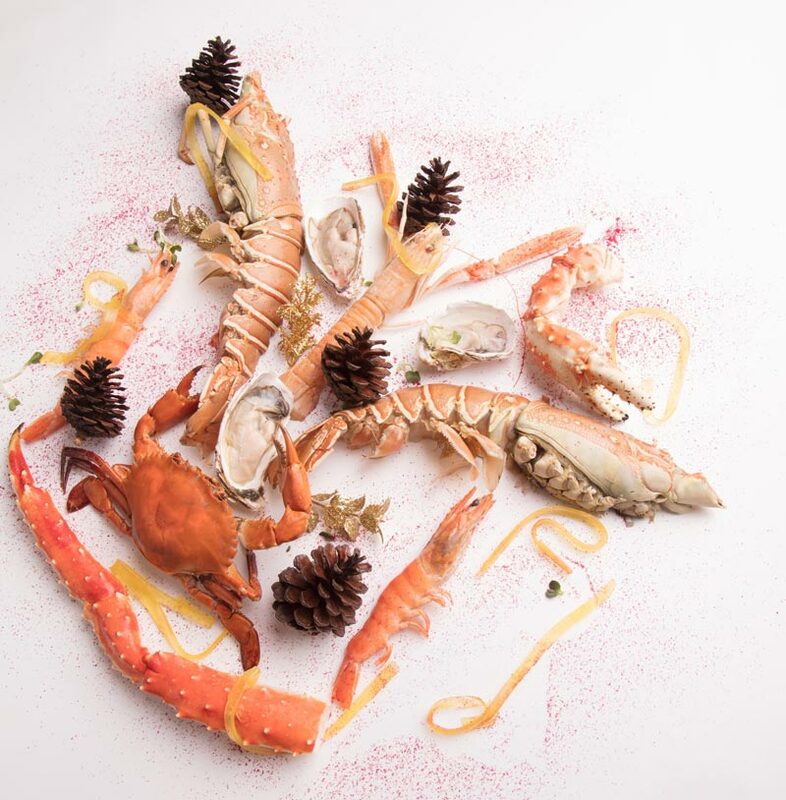 This delightful six-course set dinner features The Royal Pavilion Appetizer platter, braised bird’s nest with crab meat in chicken broth, braised whole abalone and Japanese-style pan fried codfish. Available on 24, 25, 26, 31 December and 1 January for just VND1,988,000++ per person. From 1 December 2017 to 30 December (excluding 24 December), gather the family for this bountiful set menu dinner of traditional Italian dishes prepared with love and care. Featuring mouth-watering classics as salmon and cream cheese involtino, scallop ravioli and USDA grade beef tenderloin medallion with foie gras. It is not to be missed at just VND1,288,000++ per person. Stop by for a festive treat including a delicious selection of festive-themed cakes and pastries from 27 November to 1 January. Starting 8 December, this celebrated hotel will enjoy the start of the holiday season with a traditional Christmas tree lighting ceremony in the hotel lobby, followed by a spirited rendering of “Unlock the Passion”. Exclusive holiday gift baskets will be available in the hotel’s store, starting from VND900,000++, and amazing deals will be available at their two restaurants, Latest Recipe (VND1.45 million++ per person) and Bamboo Chic (VND1 million++ per person). Celebrate this most special of occasions with fine Italian fare that is both hearty and delicious. 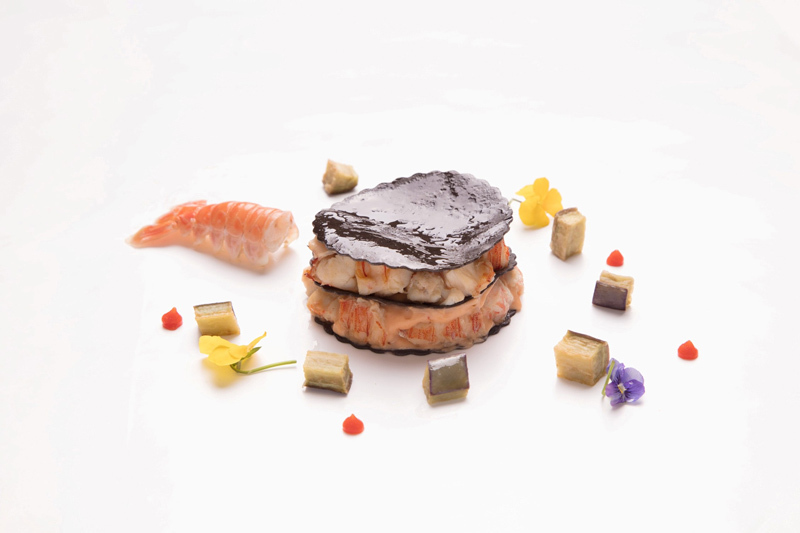 Some of the stand-out offerings include a foie gras terrine with toasted brioches, squid-ink lasagne, Wagyu beef cheek, and a cinnamon, apple and raisin puff pastry. Available on 24 and 25 December for VND1,880,000++ per person, or VND3,288,000++ with wine pairings. On Christmas Eve, from 6 p.m. to 11 p.m., delight in a Christmas buffet of holiday favourites paired perfectly with a three-course set menu of hot dishes freshly prepared from the kitchen. The buffet feast includes free flow sparkling wine, house wine, and draught beer for just VND2,188,000++ per person. 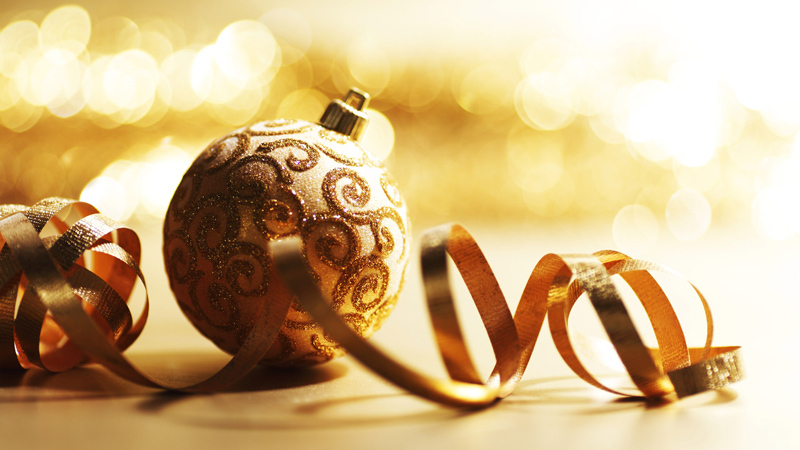 What better way to enjoy Christmas than in the luxury of a premium hotel? 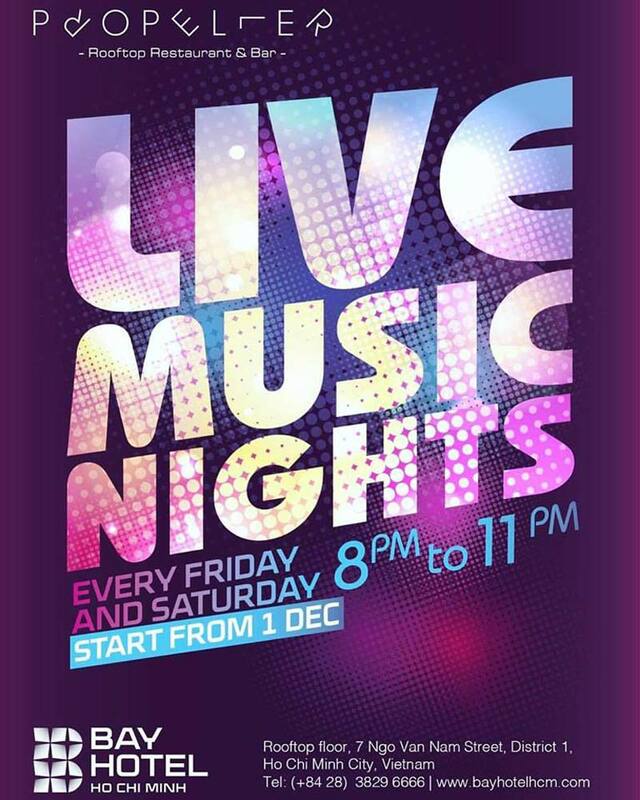 Take a mini vacation in the heart of the city starting from VND1.590 million++, and take advantage of Propeller Rooftop Bar’s exclusive Christmas party, as well as the weekly live music night every Friday and Saturday. A great choice if you want a glitzy venue to bring in the new year. 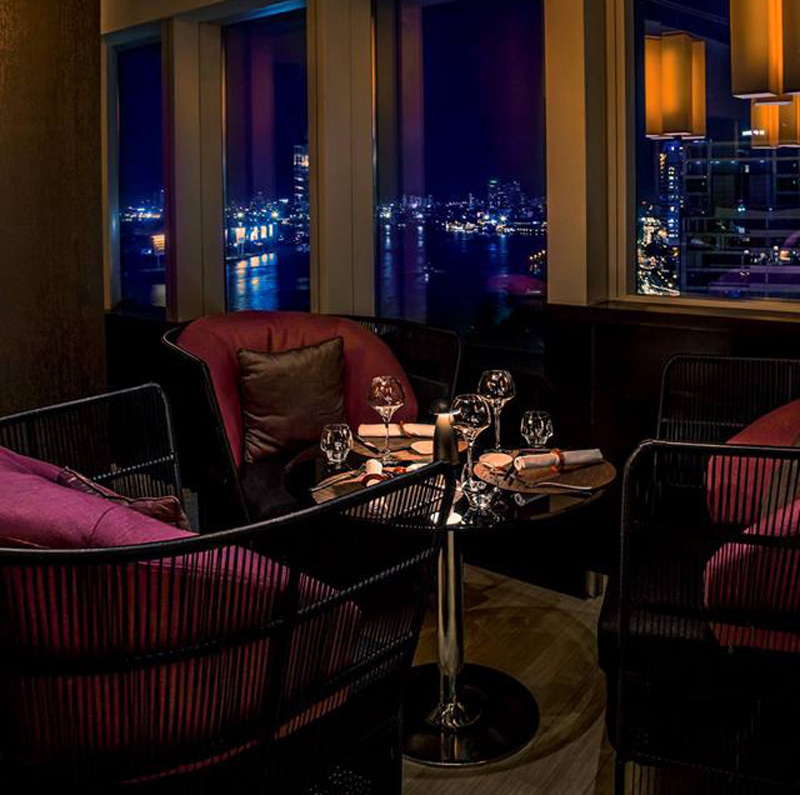 If you’re feeling peckish, there’s a VND2.5 million++ set dinner for two, with, of course, a complimentary bottle of champagne. 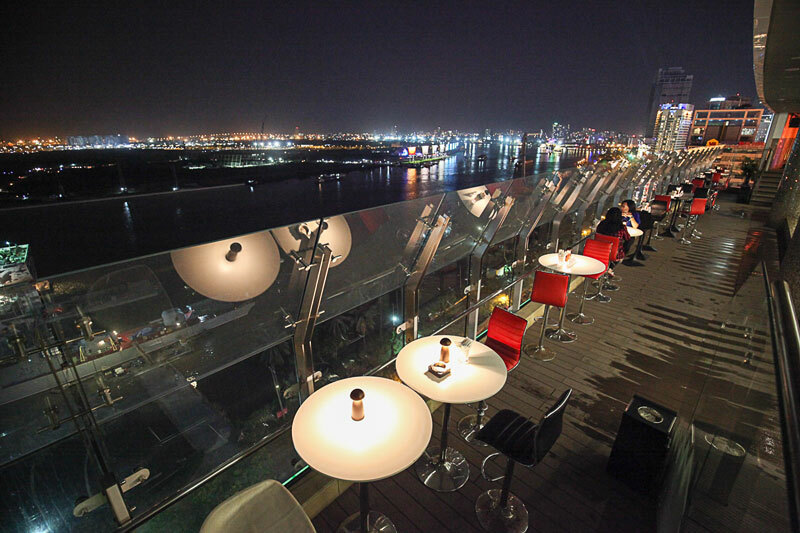 On the Sky Lounge, you can enjoy the night while listening to DJ Cazzette. Here’s how to do New Year’s Eve right. 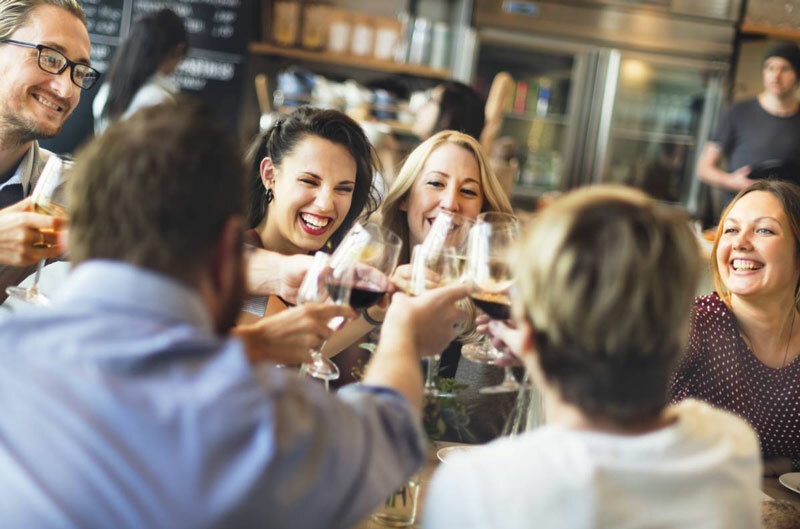 At the Rooftop Garden Bar, for VND3.7 million, you’ll enjoy a buffet menu, a free flow of house wine, beers and soft drinks, and will dance the night away courtesy of a DJ and an in-house Flamenco band. Plus, during the countdown party, be sure to take advantage of the non-stop champagne toast! Here you can pick from a variety of New Year’s Eve extravaganzas. Our recommendation? Check the party at InterContinental’s pool. VND490,000++ per person will get you a glass of champagne and a beautiful buffet. However, if you eat dinner at any of the hotel’s three restaurants, you’ll get free entrance to this elegant pool party. 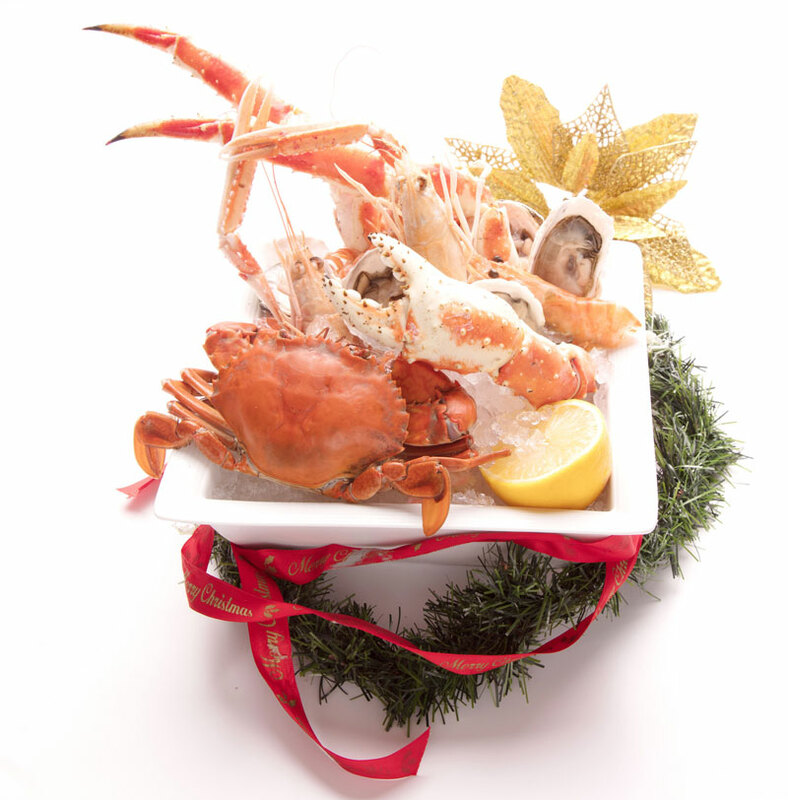 Toast with a dinner of Canadian lobster, king crab and green mussels at Caravelle Hotel. If seafood isn't your thing, how about a spiced lamb leg or bourbon roast ham? A free-flowing champagne and cocktail upgrade is available, but you do what’s right for you. 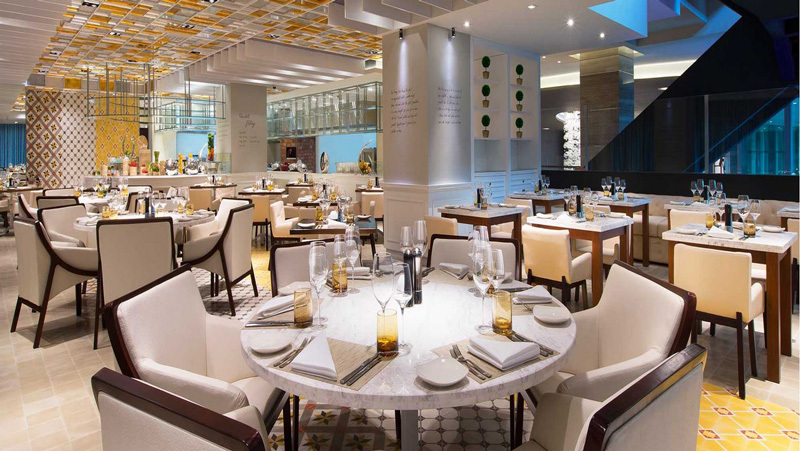 An early evening dinner will be served from 5 p.m. to 7:30 p.m., starting at VND1,490,000++. A late evening dinner starts at VND2,490,000++. 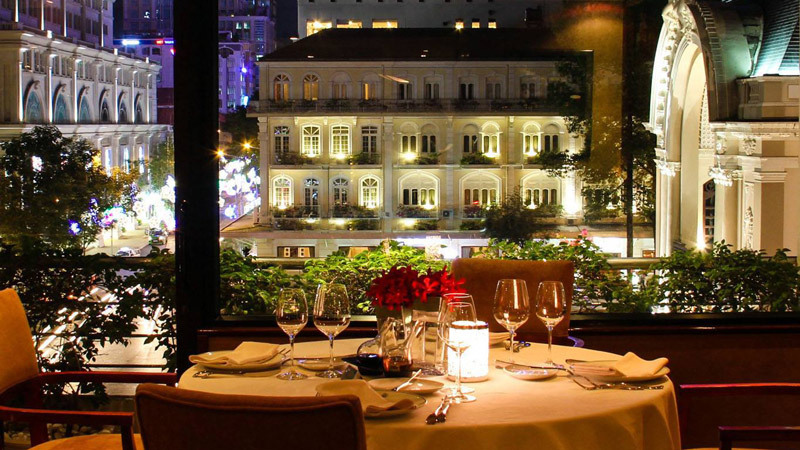 Check out this 4-star hotel and its luxuriously done dining room overlooking District 1. 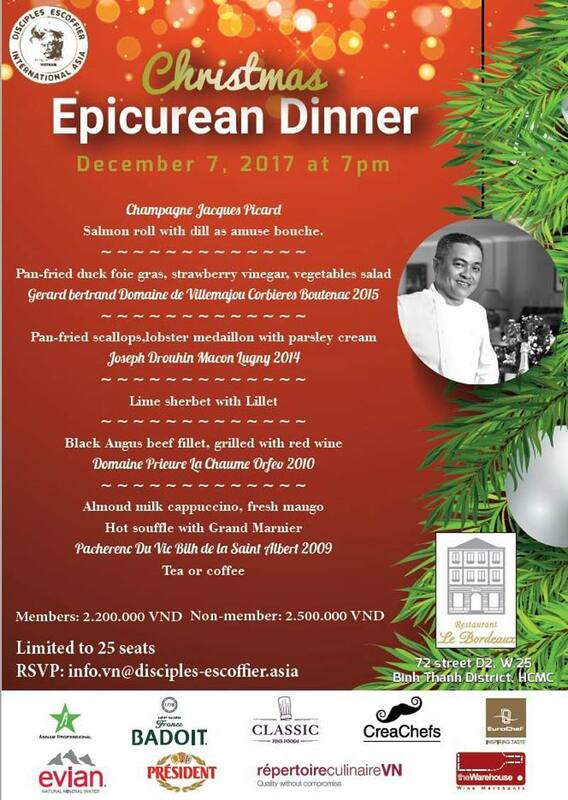 A VND890,000 ticket gets you a cocktail, a dinner complete with smoked salmon and roasted tenderloin, a seat for a violinist’s performance and, of course, a glass of champagne to toast with at the first minute of 2018. Executive Chef Darren Watson continues the holiday feast where he left off on Christmas. For New Year’s Eve you’ll get smoked beef tartare, roast duck liver flavoured with sweet orange and roasted French wood pigeon. Stay for the hand-rolled chocolate truffles and coffee. Entry starts at 2,380,000++ per person. 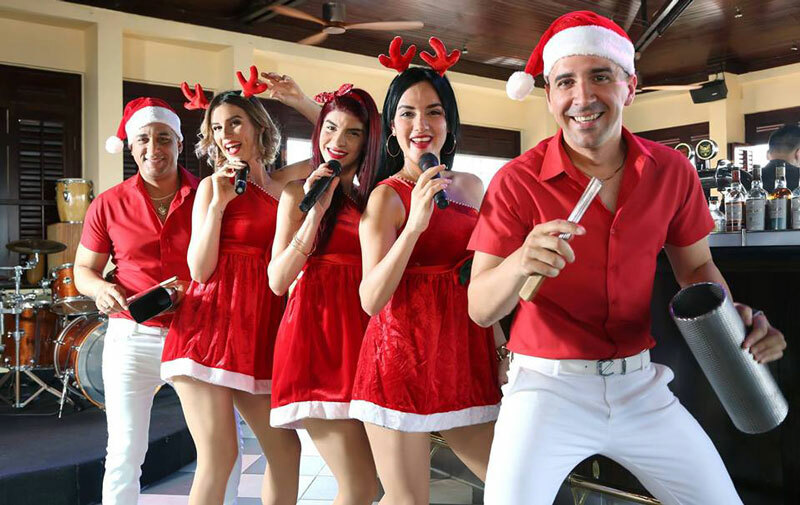 The sounds of Cuba will once more come from the Caravelle Hotel’s rooftop New Year’s Evening. Entrants are asked VND990,000 for an evening package that includes a welcome drink and live Cuban music. 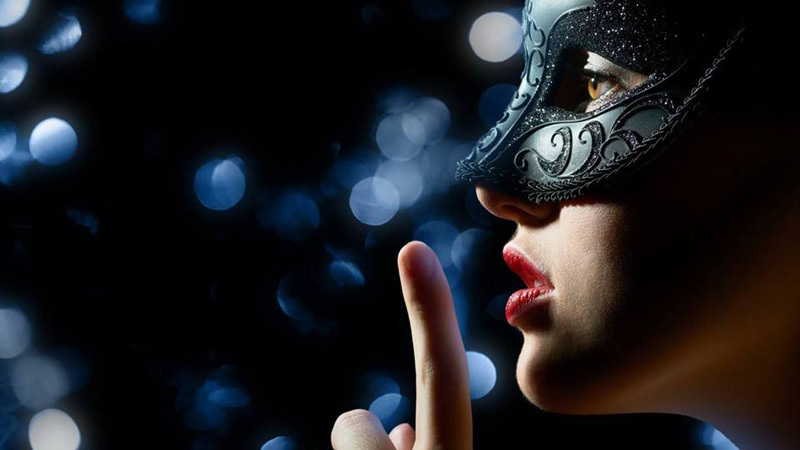 From 9 p.m. onward, masked guests atop the Caravelle Hotel will be wined, dined and serenaded by a live band until the first hour of 2018. Admission starts at VND2,990,000 per person. 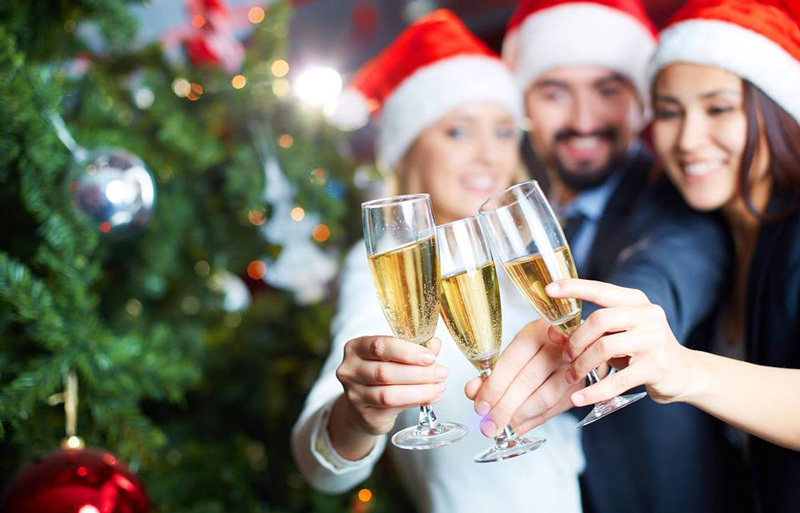 Welcome 2018 with an International buffet featuring many international favourites to enjoy with free flow Champagne, wine, and beer. Bring your loved ones and celebrate the beginning of a new year! VND 2,250,000 NET per adult and VND 950,000 NET per child. Add VND 800,000 NET and reserve your ticket for the countdown party on the rooftop! 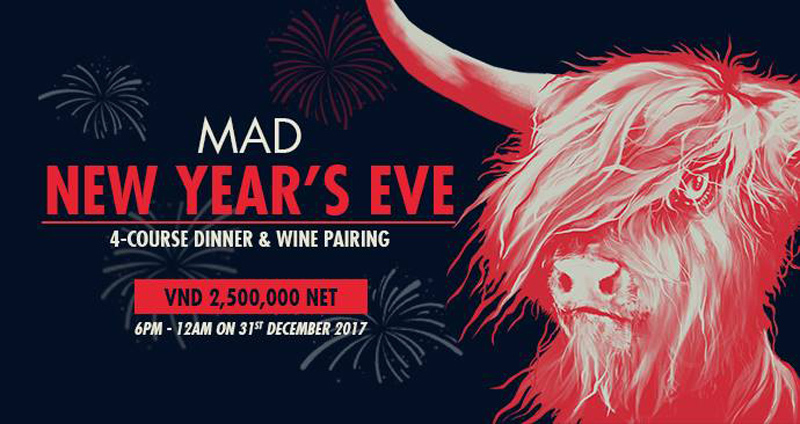 Finish on a high and celebrate the end of 2017 with a 4-course feast paired with wine at Mad Cow Wine & Grill. Seats are limited so reserve your table today! Celebrate New Year’s Eve in style! VND1.65 million++ will get you a free flow of non-alcoholic beverages, and VND2.35 million++ will have you drinking Prosecco (or a variety of other drinks) all night. Bamboo Chic will be pulling out all the stops for New Years. 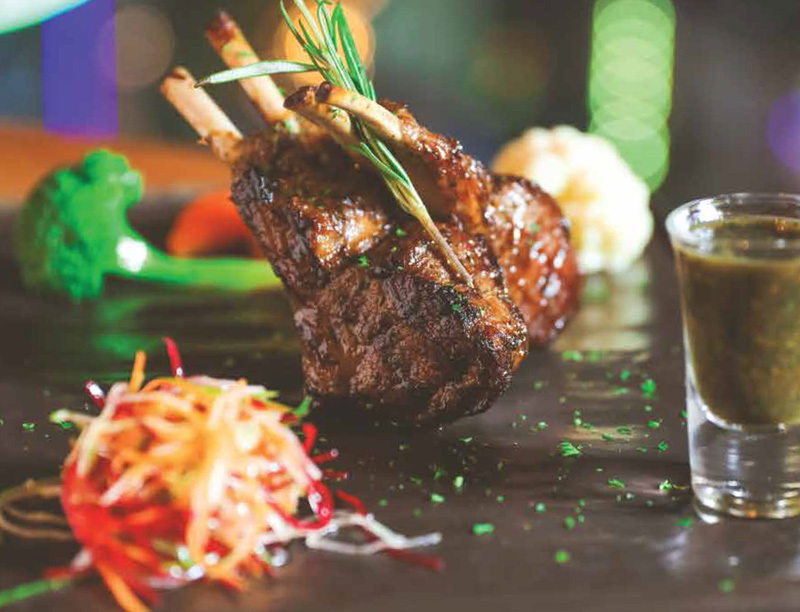 For VND1.2 million++, you’ll get a delicious meal plus a glass of champagne. 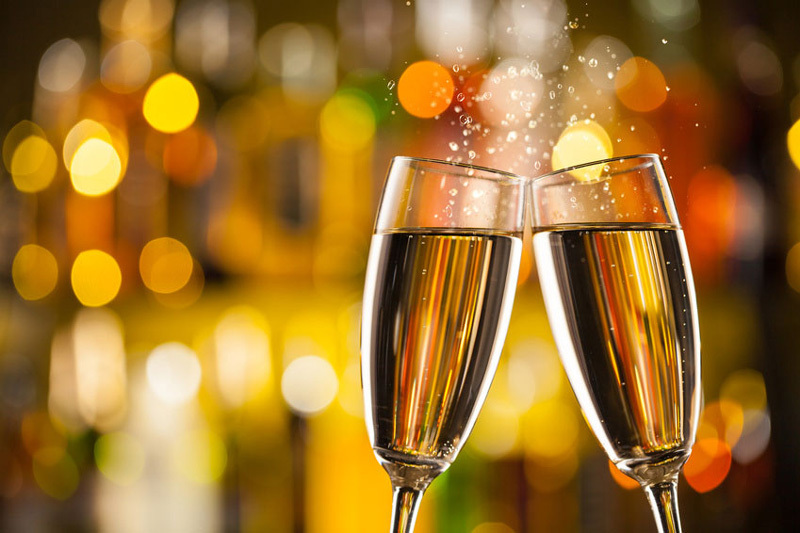 For VND1.5 million++, a glass of champagne and a free flow of a variety of drinks. And for VND1.7 million++, an even more deluxe line-up of different drinks. Before the new year kicks off, enjoy a drink or two here. 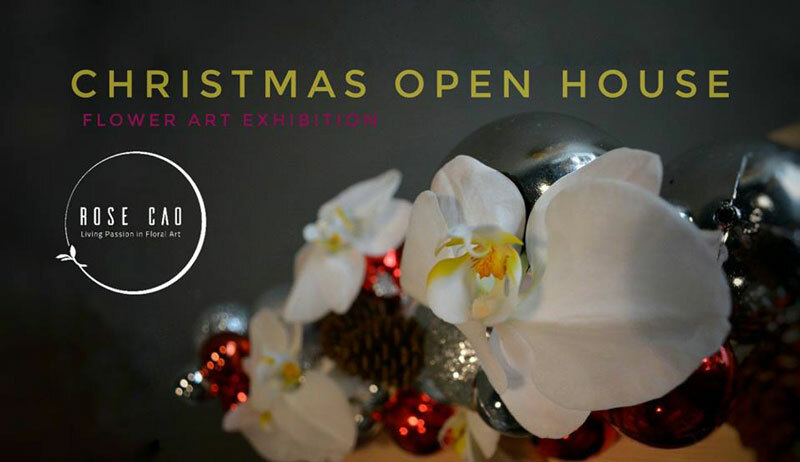 An entry fee of VND700,000 will get you all the canapes you want, plus wine, craft beer and festive cocktails. Raging until 1:00 a.m., VND300,000 will let you enjoy the sights and sounds, with a great view of the fireworks, along with a welcome glass of sparkling rose. Party in style this New Year's Eve without the lavish price tag at Lush, with tables ranging from VND5 to 15 million. Always a fun place to be when the clock strikes midnight. Packages and Belaire specials all night. Make it a New Year’s party to remember on 31 December with a special five-course menu, and groove the night away to the “Colours of Jazz” countdown with Kate Bowen. 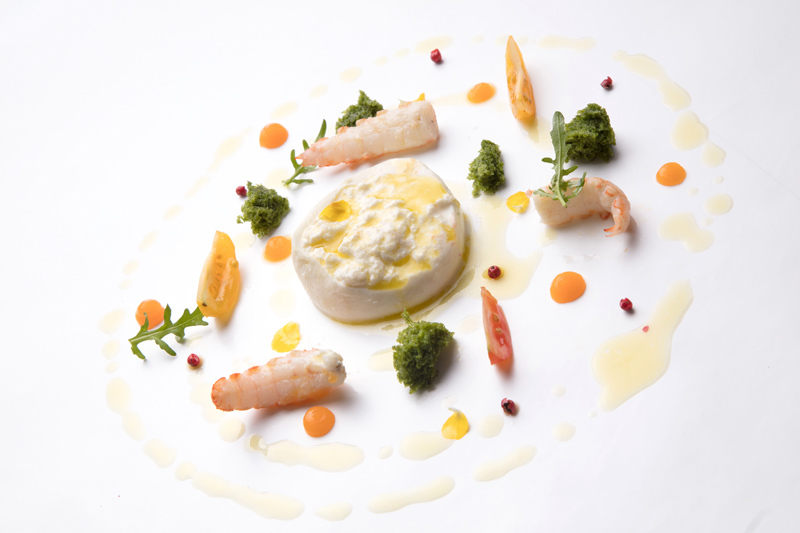 The five-course set menu includes highlights such as imported Mediterranean scampi, Prosecco and oyster risotto and a slow-cooked veal shank with truffle potatoes. The five course menu is VND1,888,000++ per person, or VND3,388,000++ per person with wine pairings. Revel in the New Year at the venue featuring the city’s longest bar, with live musical entertainment from 7 p.m. to 11 p.m. followed by a DJ set all the way through to 2 a.m. The Terrace will apply a minimum charge of VND1,300,000 per person from 8 p.m. to midnight. 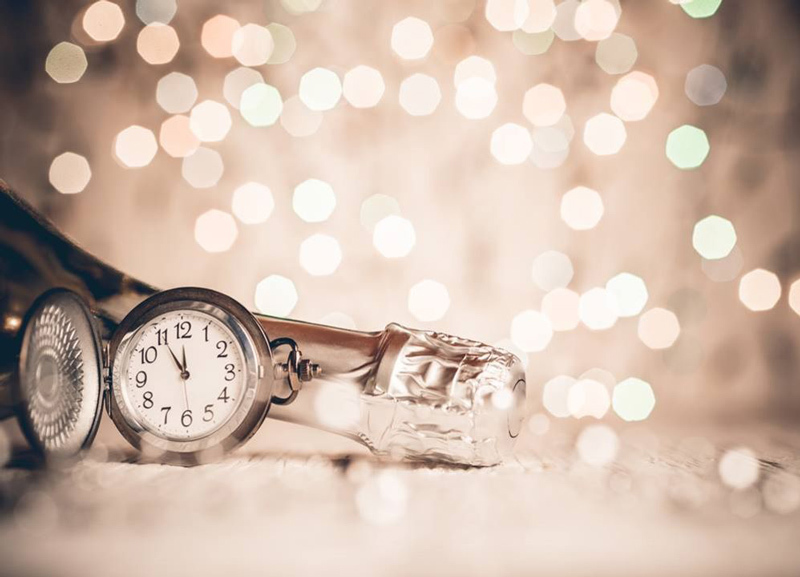 Join a spectacular celebration on 31 December from 7 p.m. to welcome the New Year with a buffet feast and countdown party. Enjoy sweeping views of the New Year fireworks, live music from 7 p.m. until midnight and the extensive New Year’s Eve buffet including a three-course set menu freshly prepared from the kitchen, as well as free flow of house red and white wine and draught beer, which is priced at only VND2,788,000++ per person. Give yourself a gift this festive season with one of The Spa’s relaxing and reinvigorating treatment packages. Each package features four separate treatments, and range from 90 to 210 minutes. Prices start at VND2,800,000++ per person. The 1,200-square-meter spa and recreation center reflects a sophisticated lifestyle and modern design philosophies. The facility is positioned on floors 6 and 7, and is one of the largest and most comprehensive lifestyle centers in the city, incorporating outdoor swimming pools, 24-hour fitness center, a luxury spa with high-end beauty services, boutique retail choices and innovative thermal experience areas. 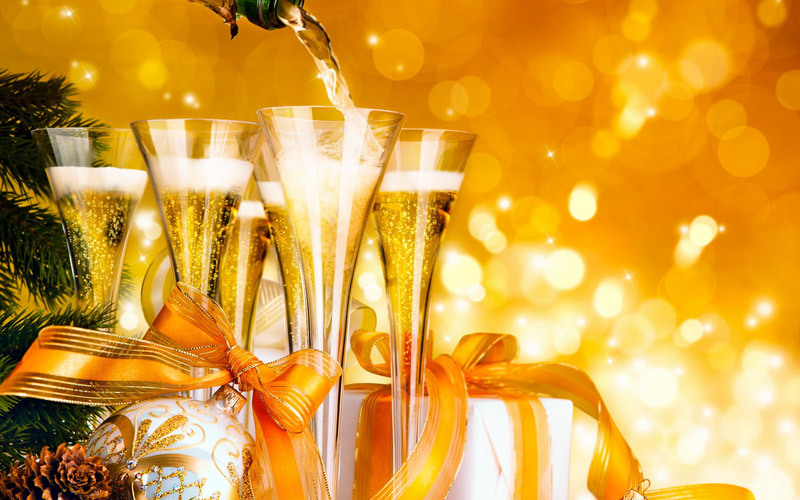 Coming to Café EON this New Year’s Eve Buffet Dinner, you will have an opportunity to become the one and only owner of their VND 2,000,000 Food and Beverage Voucher. Buffet ticket starts at VND 1,350,000 per adult and VND 700,000 per child. 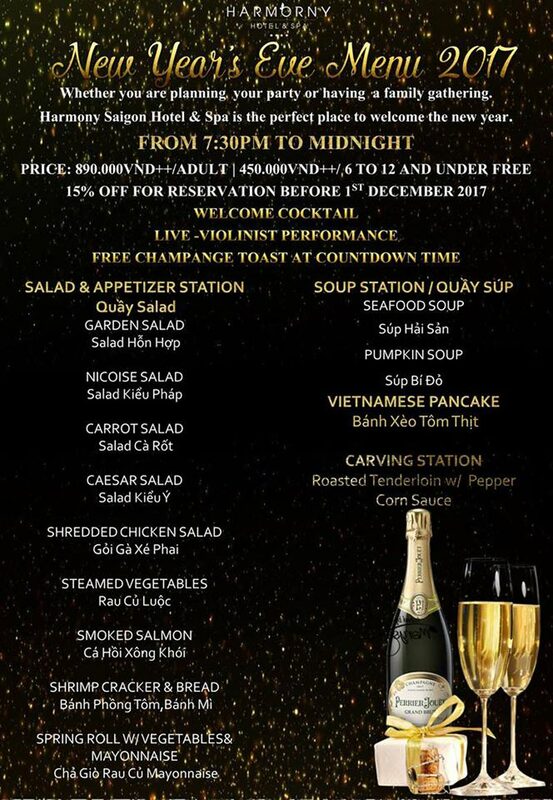 At the highest restaurant in the heart of Saigon, with panoramic views over the city, enjoy the New Year’s Eve special 6-course set menu for VND1,950,000++. You will also have a chance to win “Sweet Treat Pass”, a privilege to enjoy complimentary desserts for a whole year. Enjoy the very last moments of 2017 at the iconic EON Heli Bar, with live music performance from 5 p.m. to 10 p.m., and DJs and games from 10 p.m. Grab your ticket at VND349,000 per person, including a great drink. After all that partying, you’re due for a little relaxation. Enjoy a 60-minute body massage for VND1,175,000 throughout January. Finish with a cup of tea and a little swim in their pool. 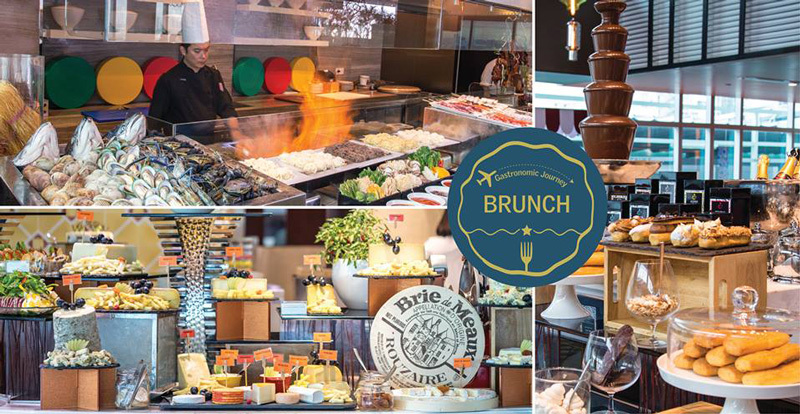 Start 2018 the right way by splurging on a New Year’s Day brunch at Food ConneXion! Enjoy your seafood fresh on ice or grilled a la minute. We have plenty of oysters, crab and lobster awaiting you.Complete your New Year’s Day brunch with free flow sparkling, wine, and beer! The art scene in Ho Chi Minh City has evolved greatly over the last ten years, from only commercial galleries, copying Western artworks, to real representatives of the contemporary Vietnamese creation, with curators, private spaces, and regularly organised exhibitions, in an attempt to reach the public while also managing to create overseas binds which will also benefit the artists. The Vietnamese art scene initially lacked regular programs, exhibitions, art events and talks, residency programs, research, and network building. Vietnamese people didn’t really take stock in art production throughout the country for quite some time, as they had other matters to deal with, especially thriving after the war. Galleries now play an active role in promoting the development of a vibrant domestic art scene in Vietnam through ongoing efforts to support talented young Vietnamese artists and via hosting regular exhibitions. This new interest is also about making a difference in the local art scene by expanding activities beyond gallery exhibitions and also encouraging the flow of information in and out of the country (more and more artists have the opportunity to exhibit their works abroad, mainly in Singapore, Hong Kong, and the United States, thanks to sponsorships and exchange programs). In the mid 2000s, there was a high level of traffic in and out the country, but little information was reaching a majority of the artists living in the city. Now, talks and gatherings work to bring the community together in a context of artistic challenge and engagement, from both artists and the public (all of which is still in need of further development). The main actors have managed to develop stronger relationships with artists, curators, and mid-career Vietnamese artists to provide them with a platform to present their work to a wider audience. They also intend to show and explain the role of visual art and creative practices in contemporary life, through platforms (San Art can be considered the leader of this medium) for the development of visual art and creative practices through a range of art-related activities that are much needed in the context of Vietnam. To name a few, the most active and recognised, we advise art amateurs to visit Galerie Quynh, San Art, Craig Thomas Gallery, Zen Collection, Saigon Outcast, Decibel, the Fine Arts Museum, or even small exhibitions happening in well-known local restaurants. The afore mentioned are the main centres in which art is initially set, allowing the public to easily appreciate past and present creations, whilst also discovering its evolution in Ho Chi Minh City. If you read a great deal about traveling in Vietnam, you are bound to hear so much about “hidden gems” that you might think going to Vietnam is one big mining expedition. Many of these “gems” are difficult to reach, take you far from your other objectives, and provide so few amenities that the effort and hassle spoil the entire experience. Ninh Thuan is an exception. The province is located in the middle of the south central tourism triangle of Phan Thiet/Mui Ne, Dalat, and Nha Trang. In the heart of the province are the adjoined cities of Thap Cham and Phan Rang. Thap Cham is the historical capital of the Cham people. Phan Rang, the capital of Ninh Thuan, is a mid-sized modern city near the ocean. From Saigon the drive is only an hour or two longer than traveling to Mui Ne, and it is two hours closer than Nha Trang. If you are flying into the Cam Ranh Airport, it is the same drive time as if you were going north to Nha Trang. Nearly all the visitors to this area stay at Ninh Chu Bay, which is five kilometers from Phan Rang. Ninh Chu Bay is considered one of the nine most beautiful beaches in Vietnam. Prior to 1974, the ten kilometer crescent was used as the exclusive beach for the President of South Vietnam. Since that time, it has remained relatively unknown to those outside Vietnam. Seven resorts of various quality and character line the area between the wide roads and the beach and several more resorts are being developed. The city of Phan Rang is located far enough away from the coast so the area near the ocean is uncongested. What makes the area a true “hidden gem” is the unique balance of traditional Vietnamese life combined with modern conveniences for travelers. It is a gateway into seeing how contemporary Vietnamese live outside the major tourism destinations, while also providing all the services tourists need. 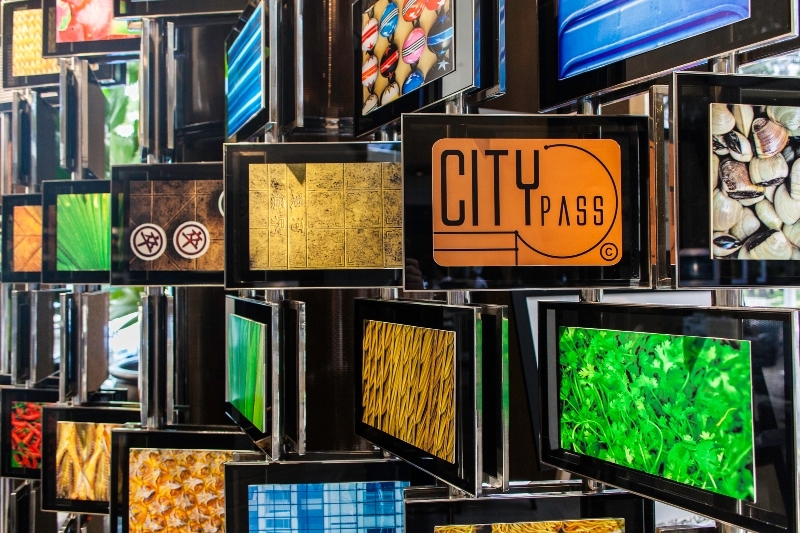 Two large metered taxi companies offer reliable transportation to visitors, ATMs and banks line the streets, and high-speed internet access and international TV are available in all the resorts. 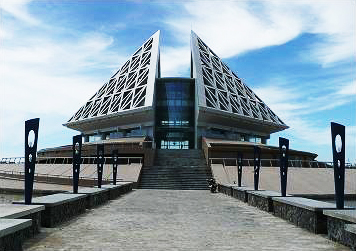 Near the bay is one of the most modern buildings in Vietnam, an arrow-head shaped museum which is part of a large park that is now the unofficial community center. However, it is not unusual to see cattle being herded down the wide, six-lane road that connects the beach to Highway 1. If you have travelled around Vietnam for any length of time, you will notice several unusual things about this area that make it a welcome change. You will not be approached by people asking you to buy things or give money. You can walk on the sidewalks without the fear of motorbikes. Crossing the street is not life-threatening. The temperature is not humid and the ocean breeze cools you down. Getting in a taxi is safe, and the traffic is light. It is one of the easiest places in Vietnam to relax and just experience Vietnamese people as they truly live now and not how they lived in the past. 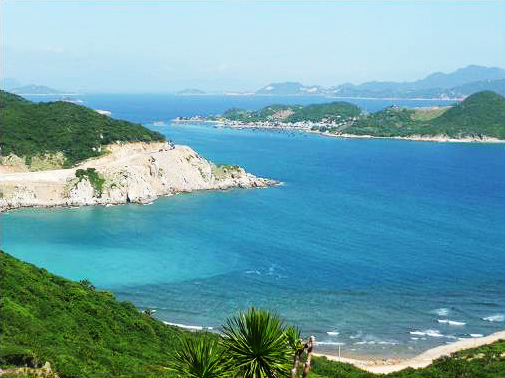 If you want good beach weather almost guaranteed, then Ninh Thuan Province is for you. The province has the least amount of rain, the most sunny days, and consistently warm temperatures throughout the year. In fact, 95% of all grapes produced for wine are grown in this province. The raining season is officially from mid-September to mid-December. However, when it rains it usually rains for about 15 minutes and stops. Phan Rang has 20% less annual rainfall than Nha Trang and Phan Thiet. Exceptions, like when a typhoon is near, are rare. As the city is directly in the middle of major tourist destinations, you have several options of travel. The train is a safe and reliable method to travel to Phan Rang on a budget (but spend a little extra for a cabin bed). Almost all the north/south trains stop at Thap Cham Station, which is about a $7 taxi ride from Ninh Chu Bay. Metered Mai Linh taxis are usually waiting at the train station. Taking a bus is also an easy alternative. Most tour buses going to Nha Trang are happy to drop you off and pick you up in Phan Rang. If you are planning on arriving in the middle of night, make sure they drop you off where you can find a taxi to take you to your hotel. Phan Rang is nearly the same distance from the Cam Ranh Airport as Nha Trang is, only south instead of north. The taxi ride will be more expensive since fewer taxis are willing to make this trip. You can expect to pay between $20 and $30. Once the new coastal highway is opened, the trip from the airport to the beach is going to be spectacular. The views from this highway are some of the best in the world. It is schedule to open in the first half of 2013. Taking a van, taxi, or bus from Phan Thiet, Nha Trang, or Dalat will take about 2 hours. A taxi from Nha Trang will cost approximately $50. Before the war, a railway connected Phan Rang to Dalat. The government plans to re-open this route in the next few years, which means Phan Rang will be the gateway into the south central highlands. It is highly recommended you stay at one of the seven resorts located on Ninh Chu Bay. Mini-hotels in the city are an inferior alternative. The seven resorts range in price and service. Two-star options are available for $20 per night, but you will get what you pay for. Thai Binh, and Con Ga Resorts are the best of these. For a slightly higher price, you can stay at Bau Truc (formerly known as Den Gion) which has both three and four star facilities. 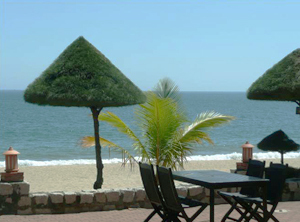 Bau Truc is a nicely designed resort in the center of the bay with an open, outdoor restaurant right on the beach. They also have one of the largest swimming pools in Vietnam that they keep very clean. Beds have new mattresses and linens that conform to western standards. Moving up in price, the next option is the Saigon Tourist owned, Ninh Chu Hotel. It is 8 floors and has many rooms with ocean views, as well as some beach bungalows. The Saigon Tourist hotel also has the most facilities such as a spa, game roomand a beach bar. Unfortunately, like many Saigon Tourist hotels, the service is subpar and the staffing is kept at a bare minimum. For a surreal experience that will make you feel like you are in a Scooby Doo mystery, stay at Hoan Cau resort (really, don’t). The resort mixes Vietnamese folklore and Disneyland design, only it looks like it hasn’t been maintained for the last decade. But, if you feel like staying in a “tree trunk”, then by all means check it out (don’t). If you are traveling with a group, the new Aniise Villa resort recently opened and they have several beach villas with kitchens that can easily accommodate up to ten people. Finally, the world famous Aman Resort Group is opening a resort on the cliffs above Vinh Hy Bay. The Aman Resort Vinh Hy Bay is set to open in the first half of 2013 and will be one of Vietnam’s most prestigious hotels. YOU WOULD LIKE TO SHARE WITH US? © Copyright 2011 - 2018 Innovo JSC. Created and designed by Innovo JSC. Questions? Suggestions? Just want to say hello? Contact us today, we are always happy to hear from our public, our clients and our partners. If you need more information on any of the services or products we offer, use our contact form and we'll get back to you within 48h working hours.